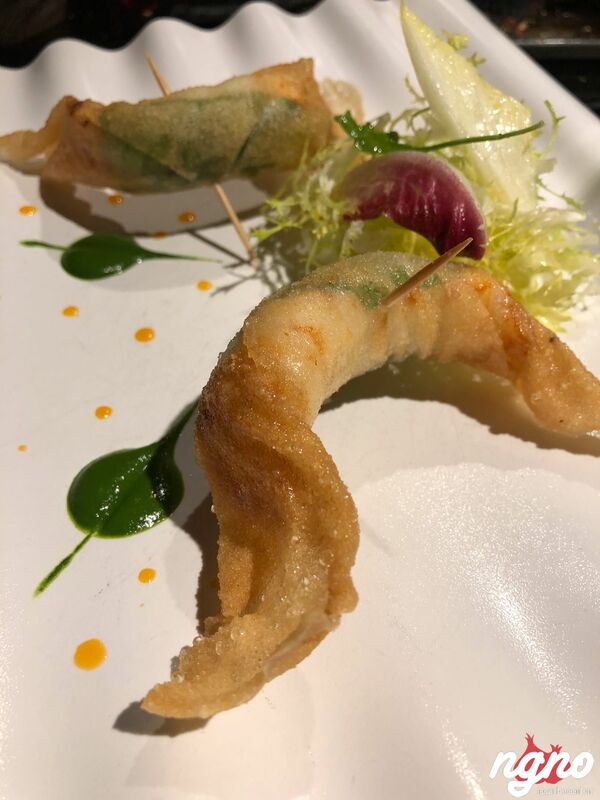 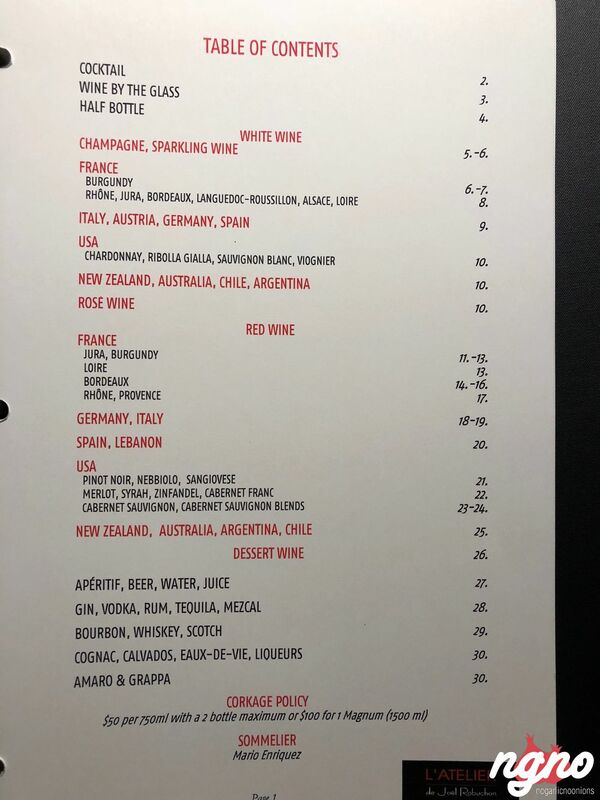 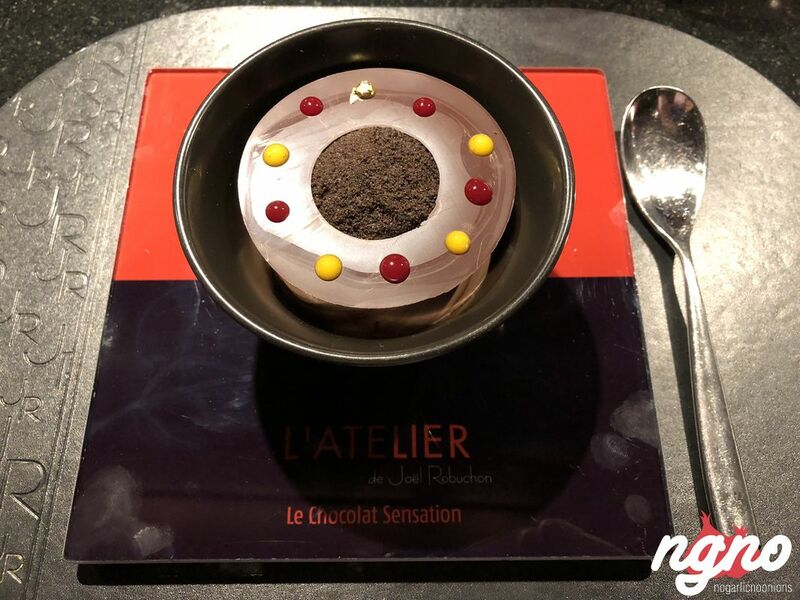 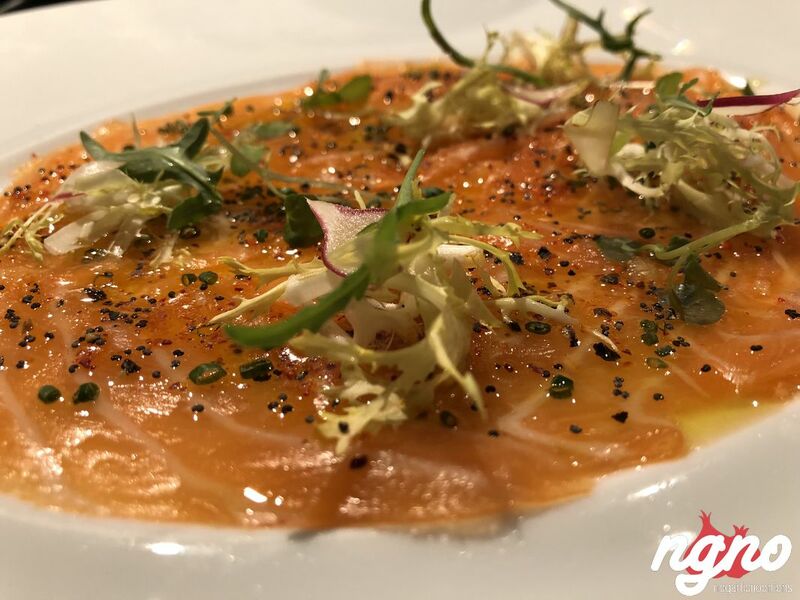 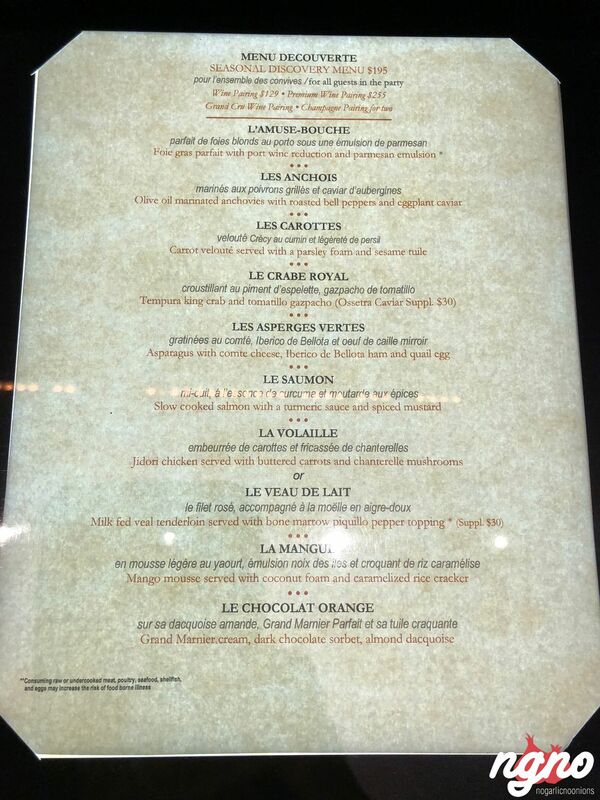 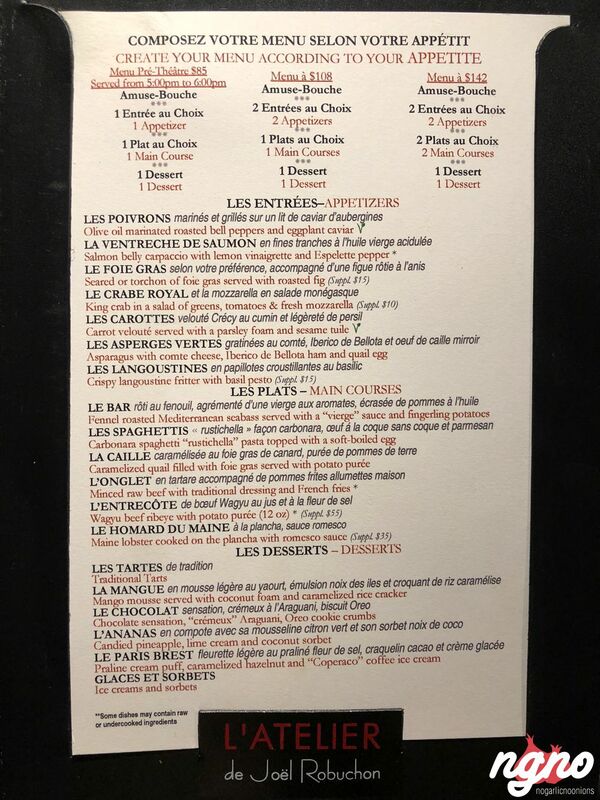 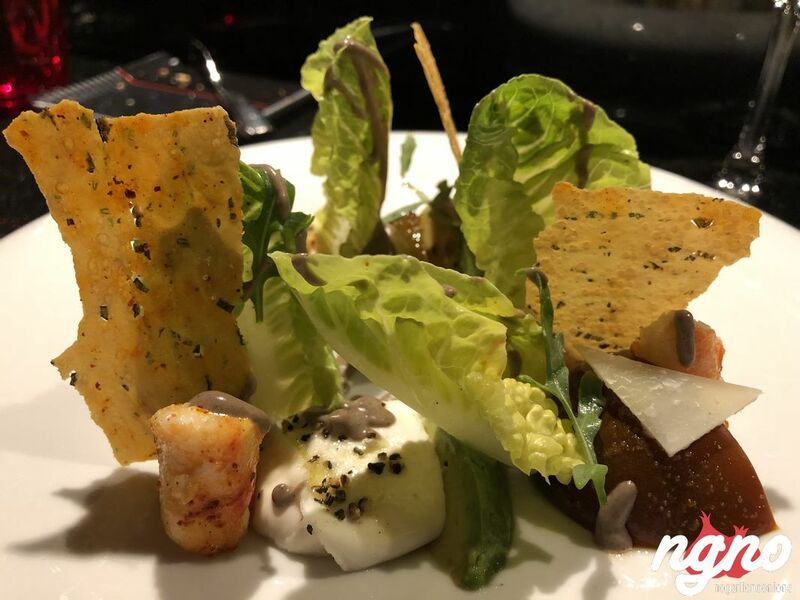 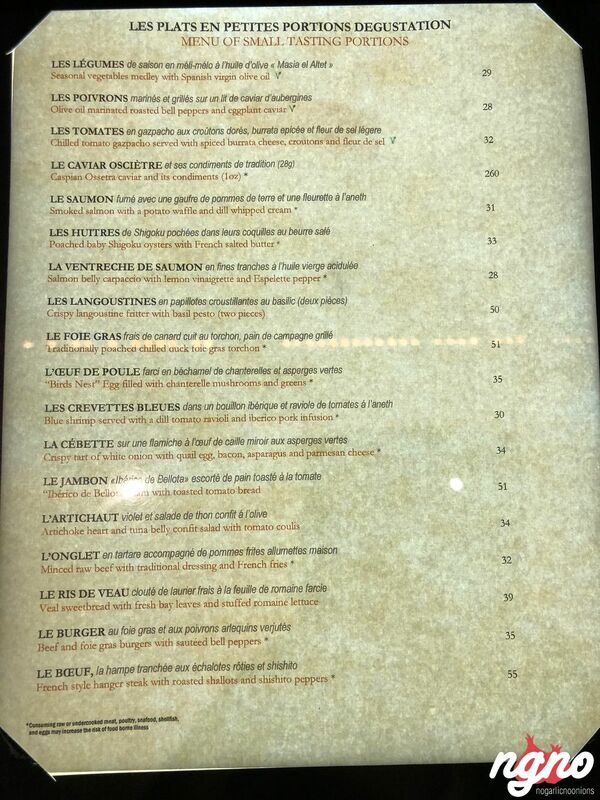 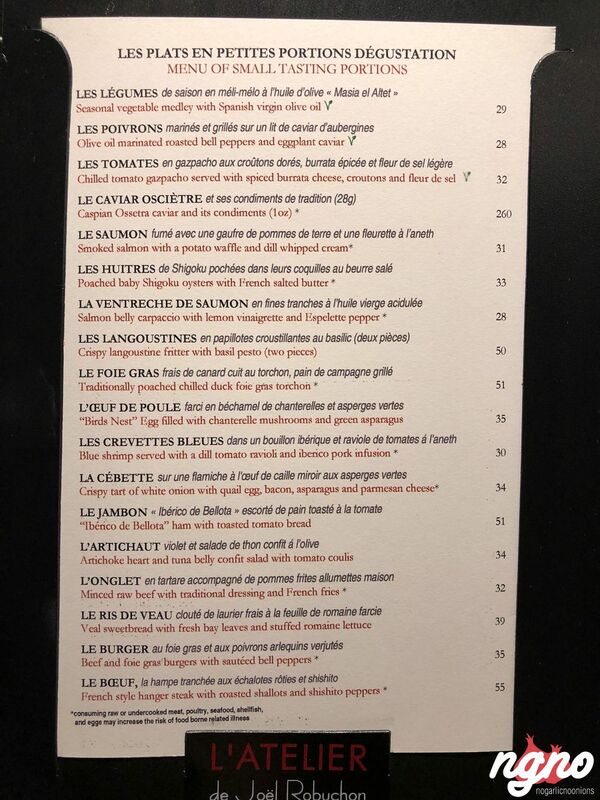 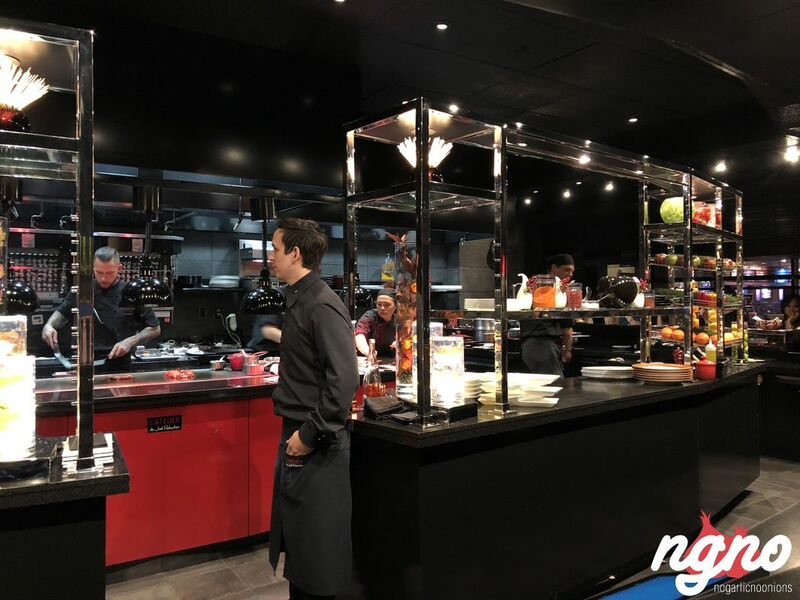 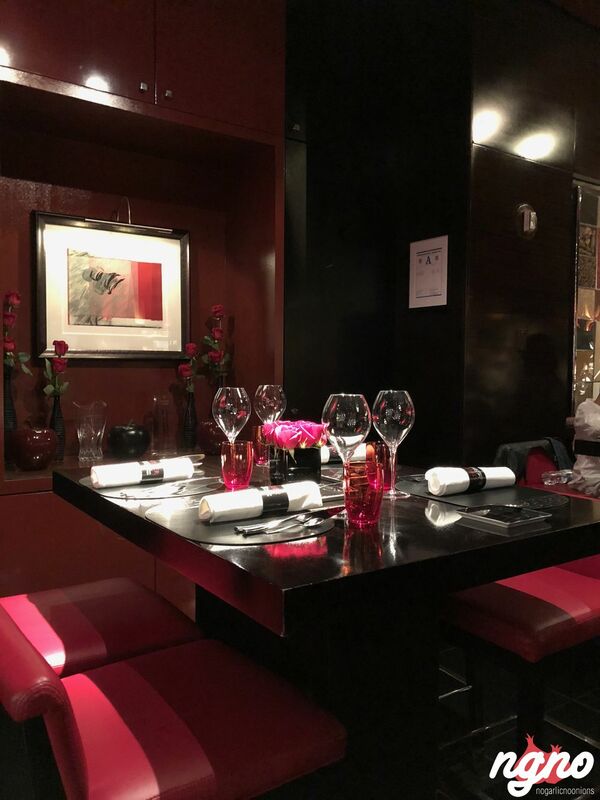 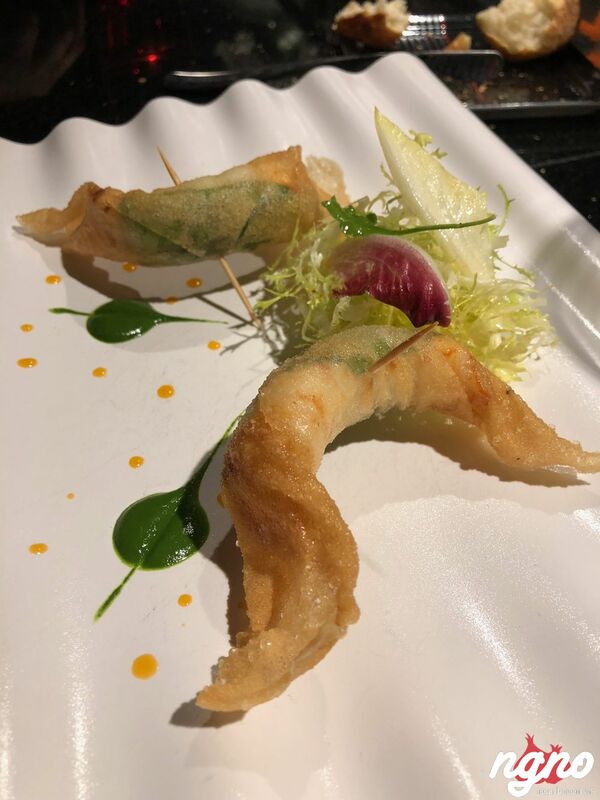 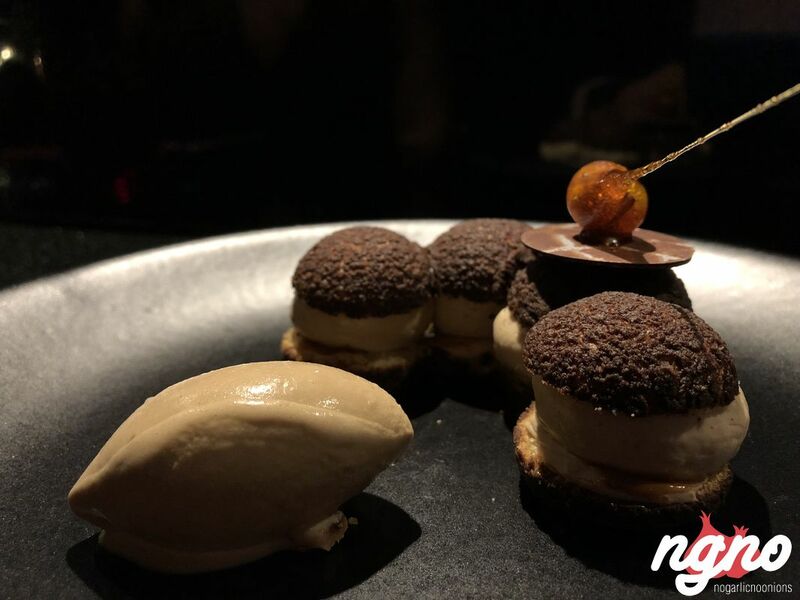 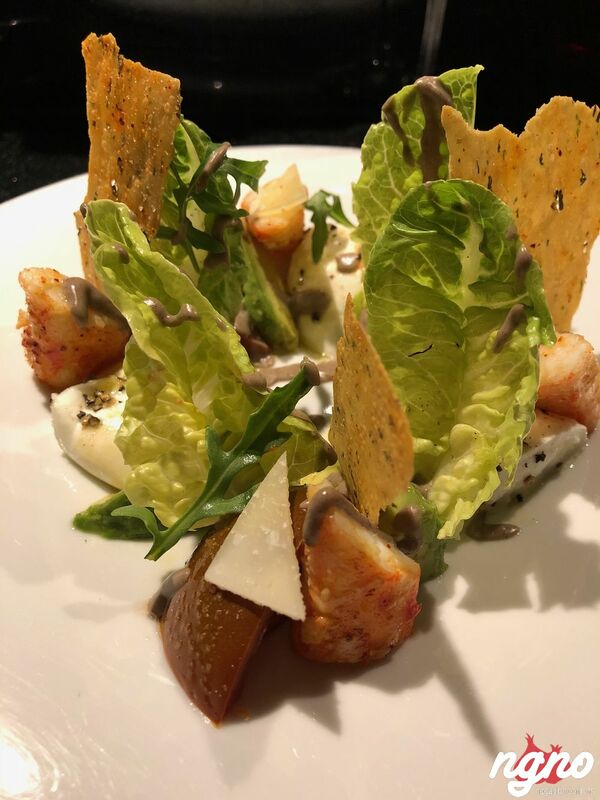 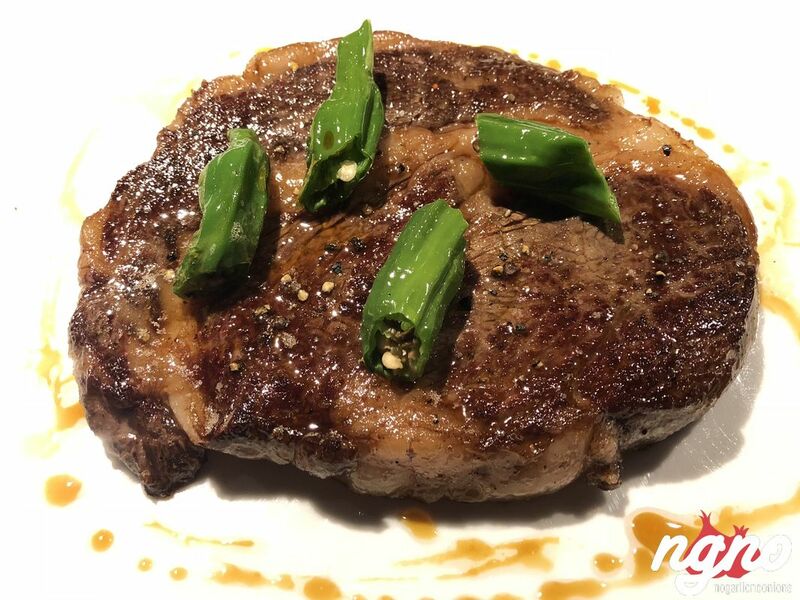 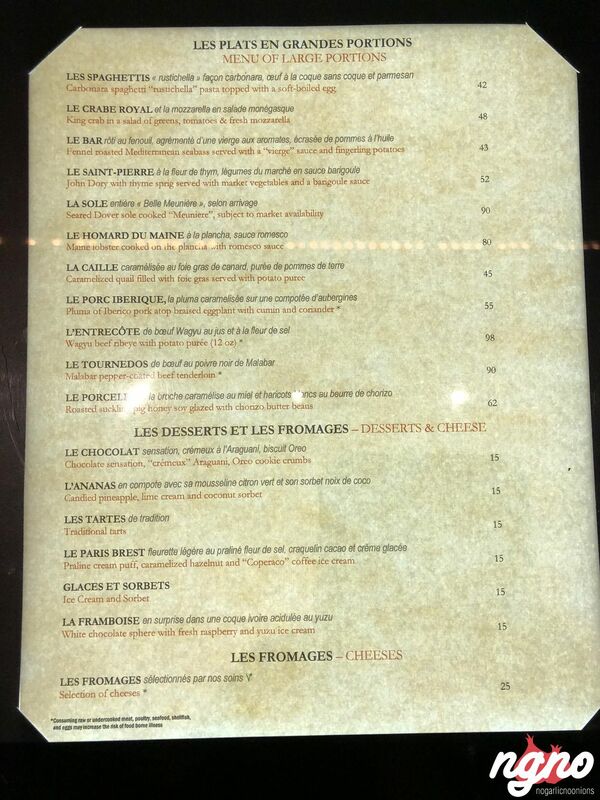 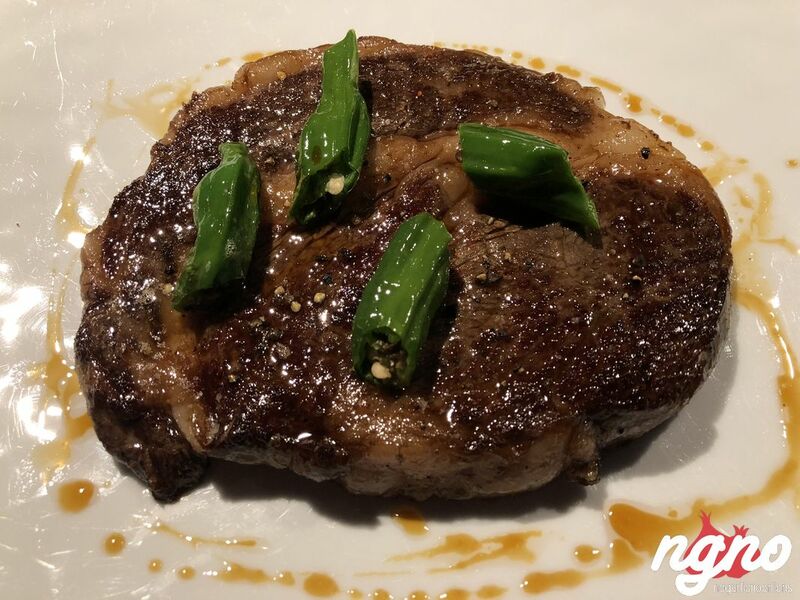 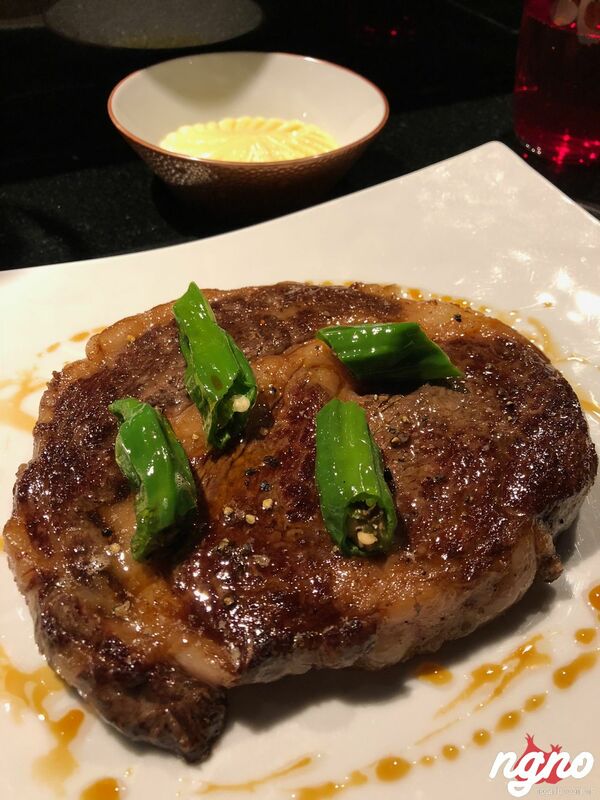 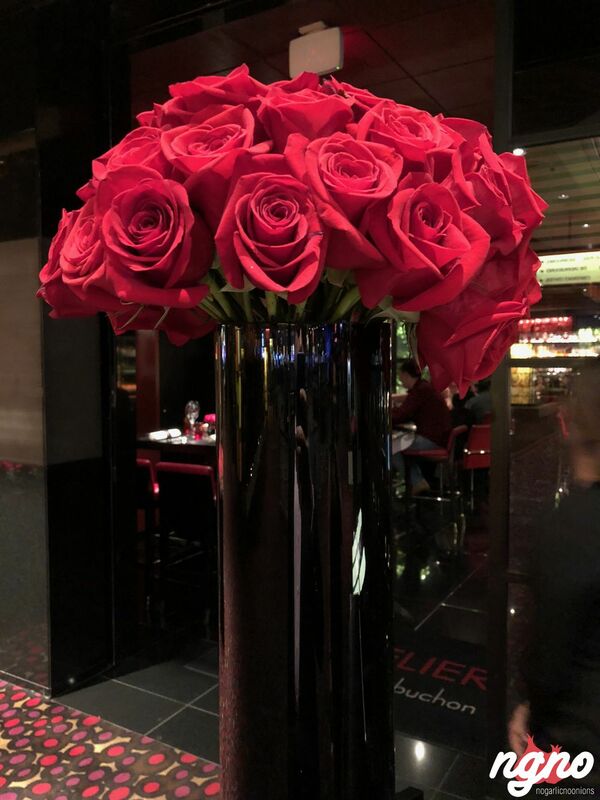 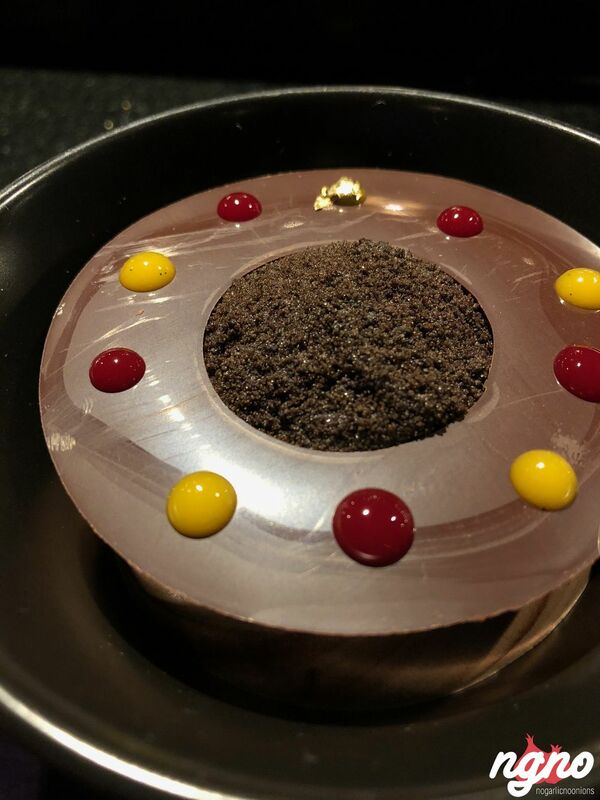 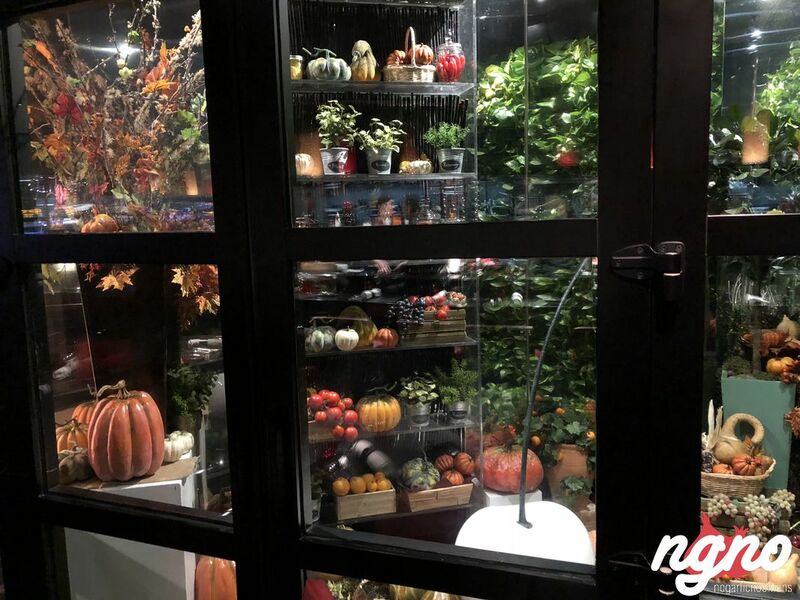 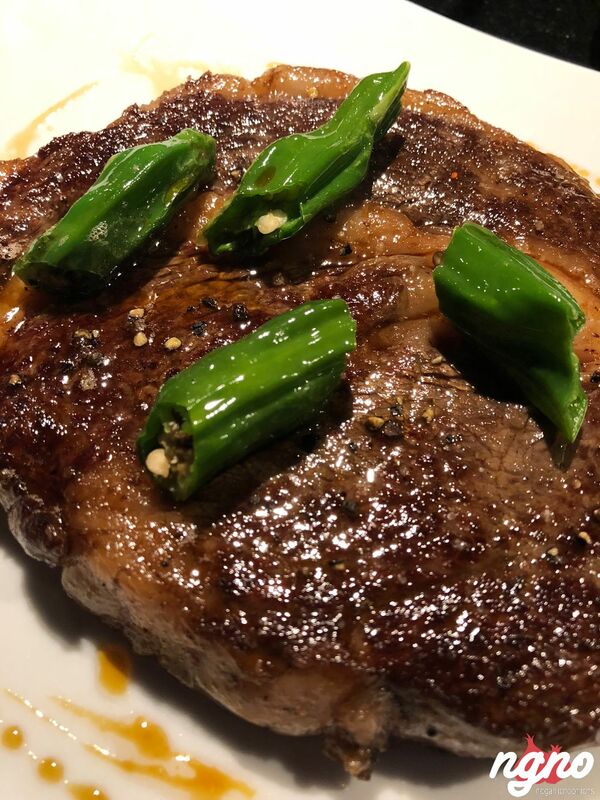 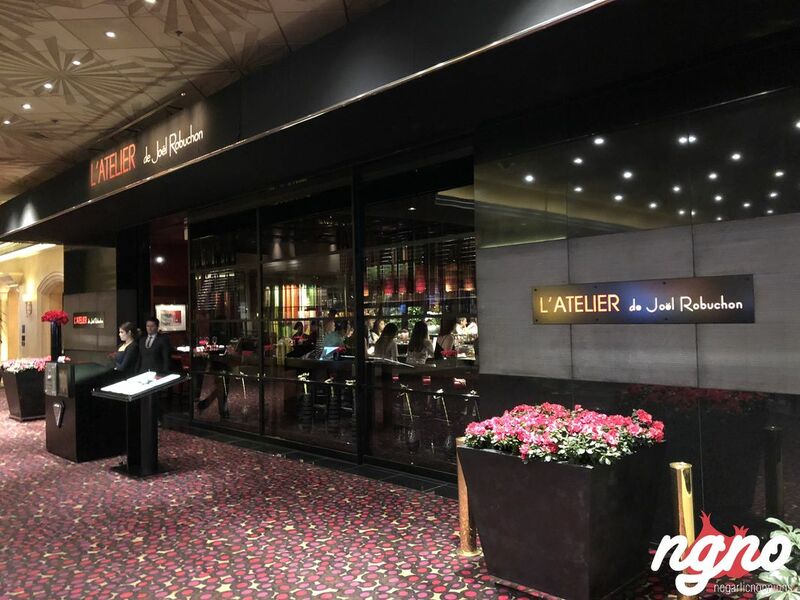 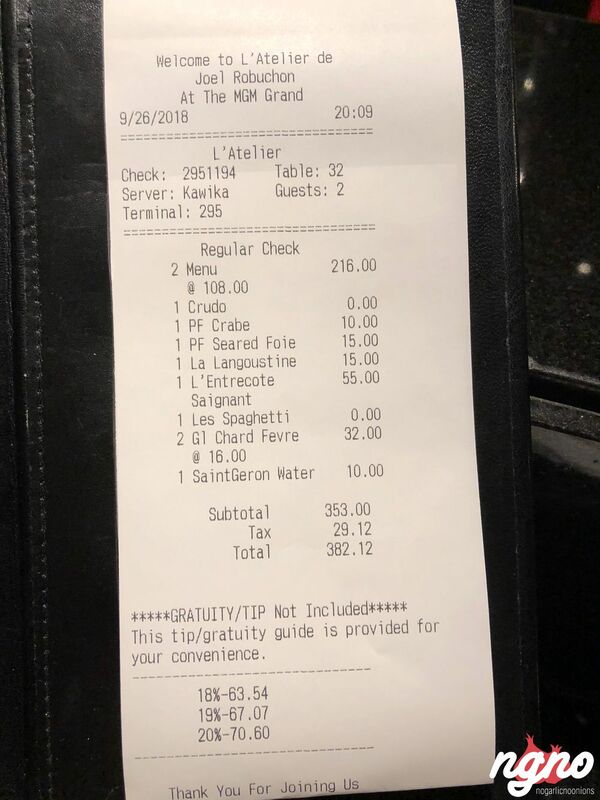 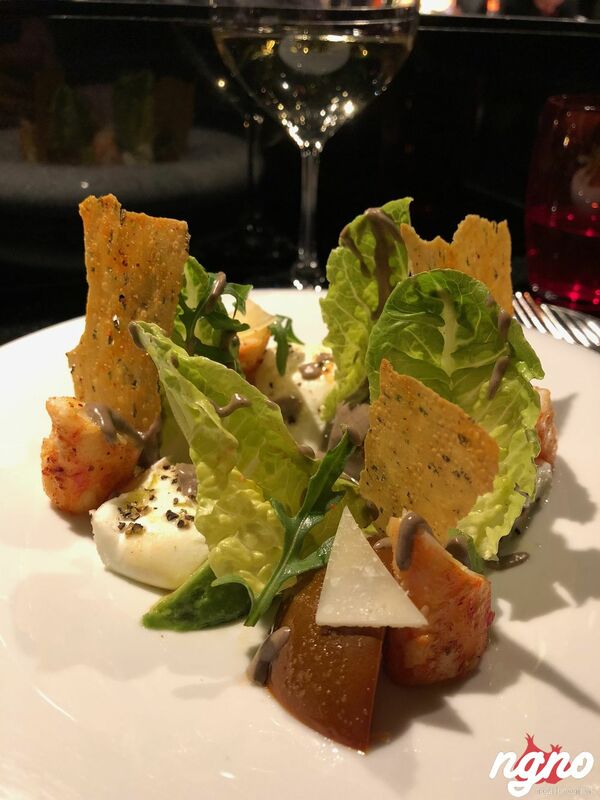 Being a big fan of Joel Robuchon and after enjoying La Table in Paris on several occasions, it was kind of necessary to have dinner at La Table in Las Vegas. 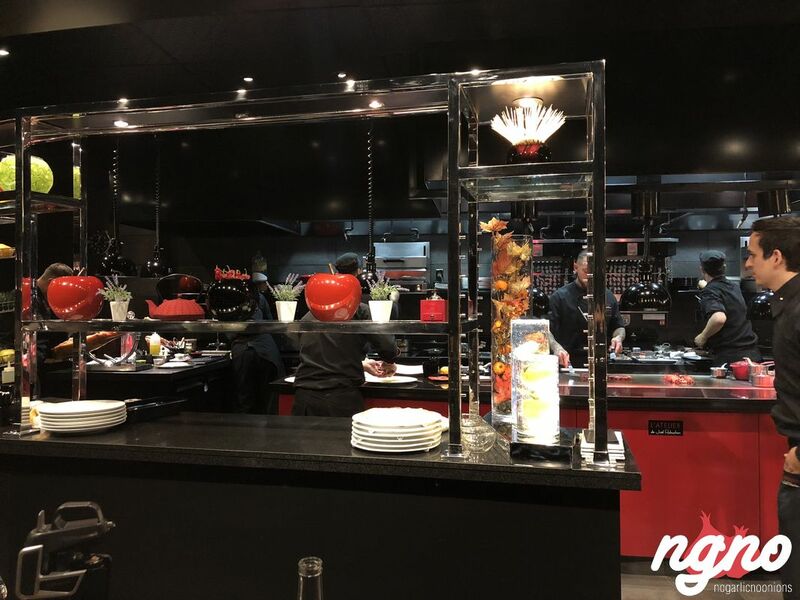 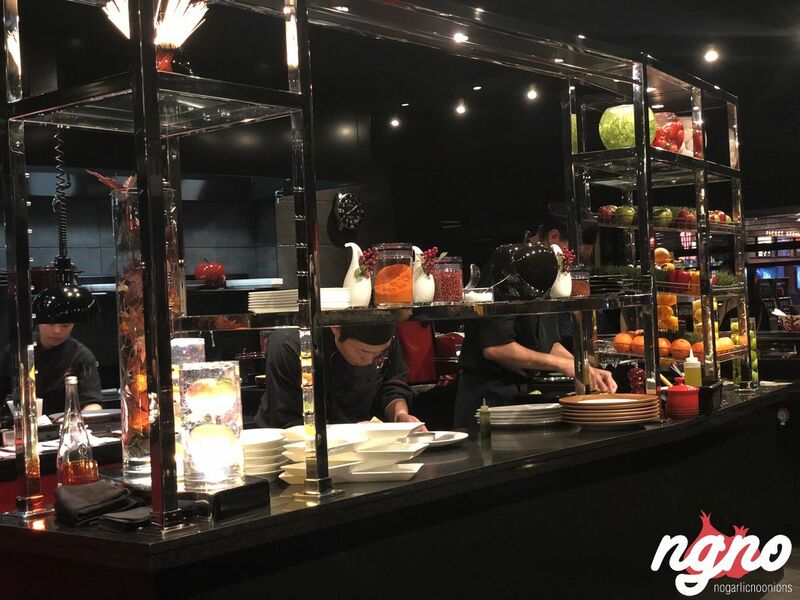 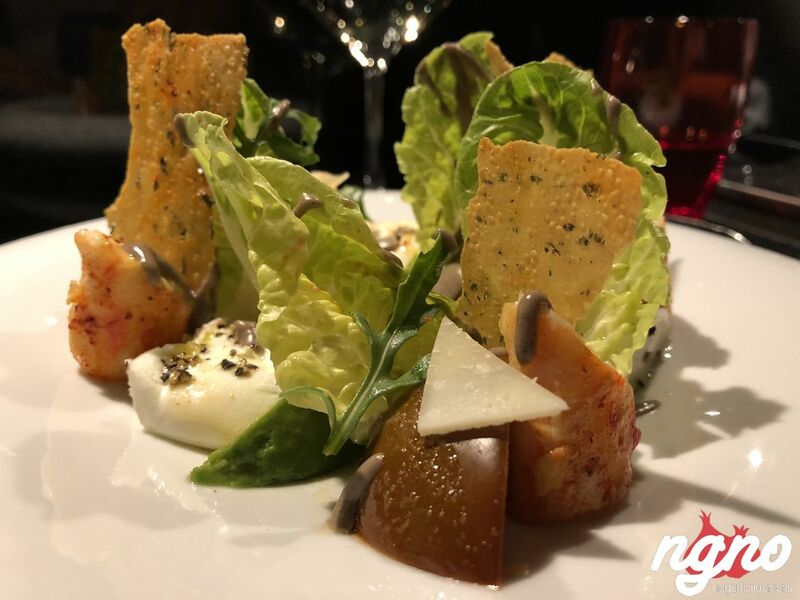 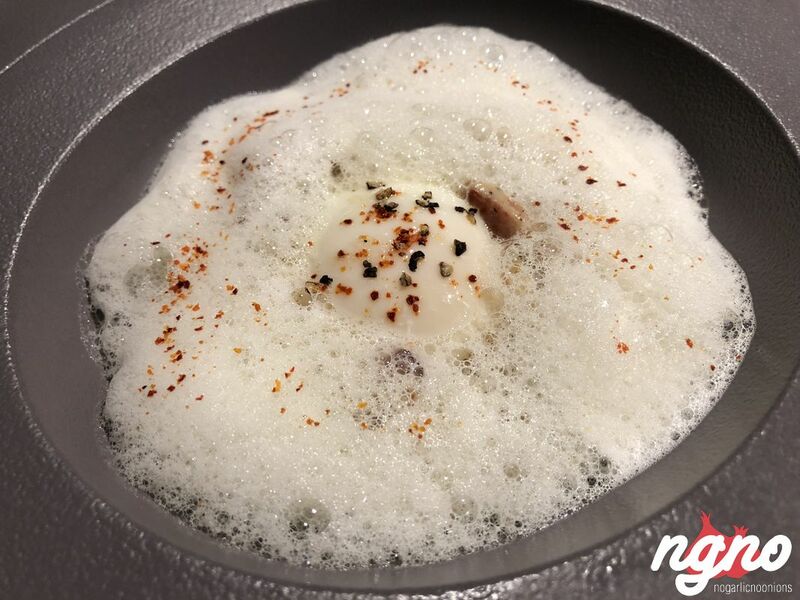 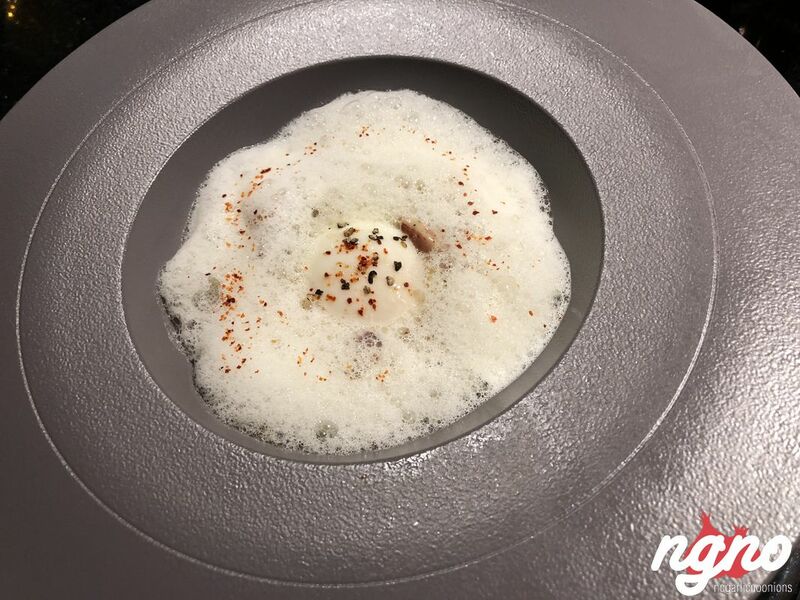 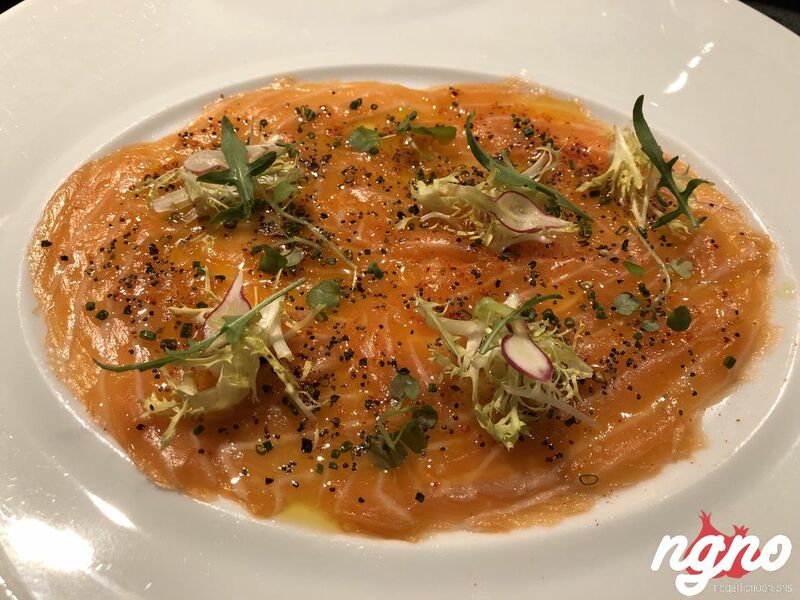 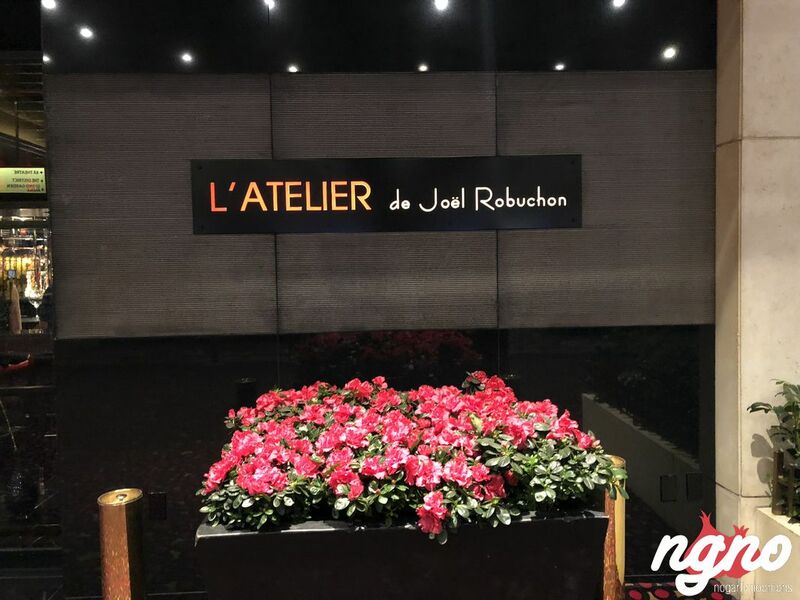 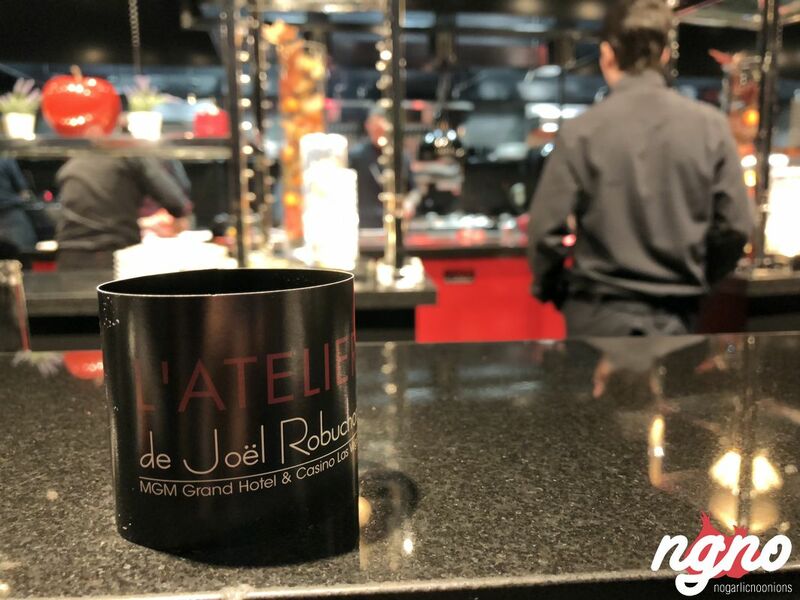 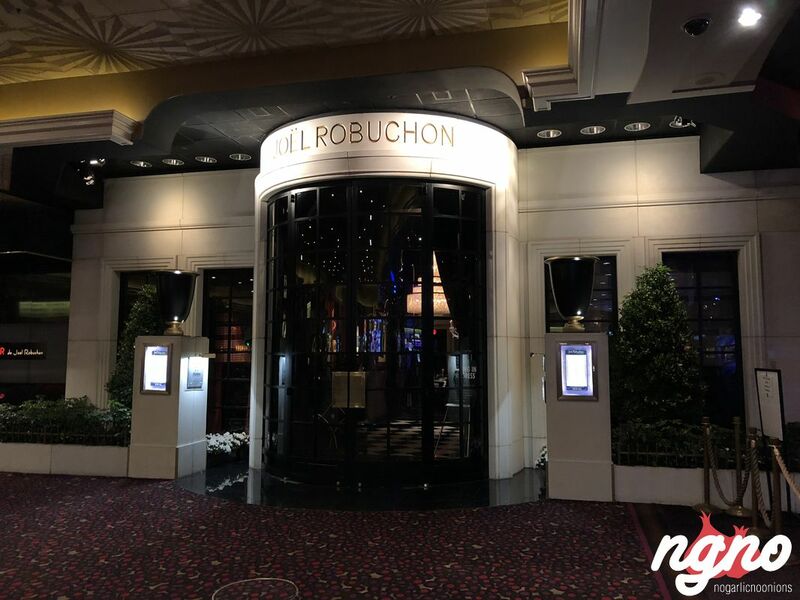 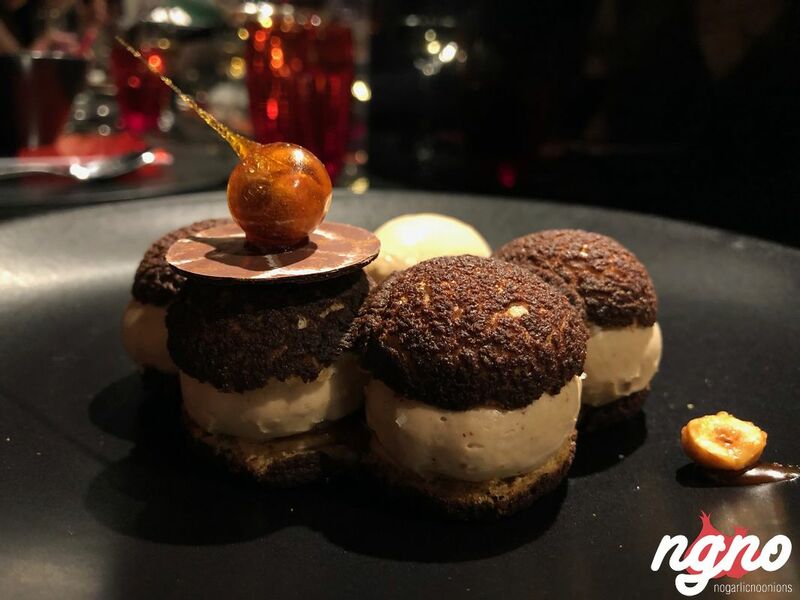 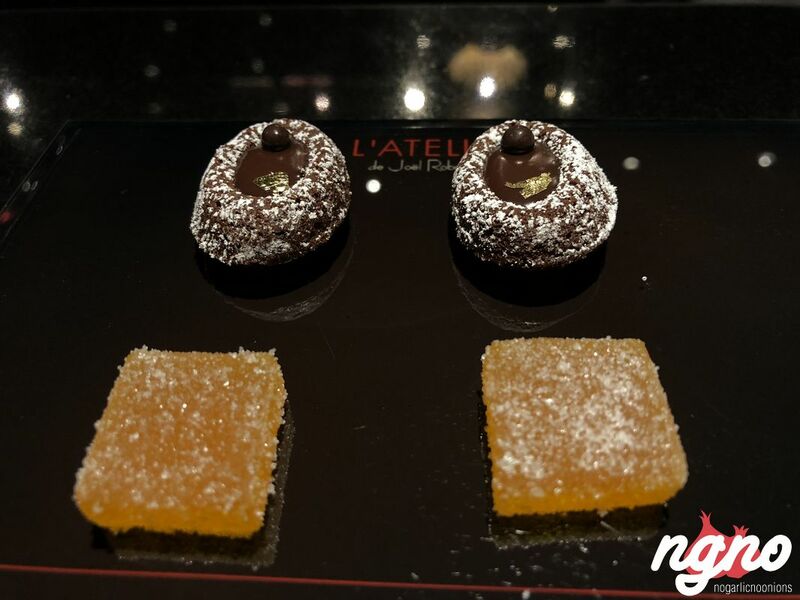 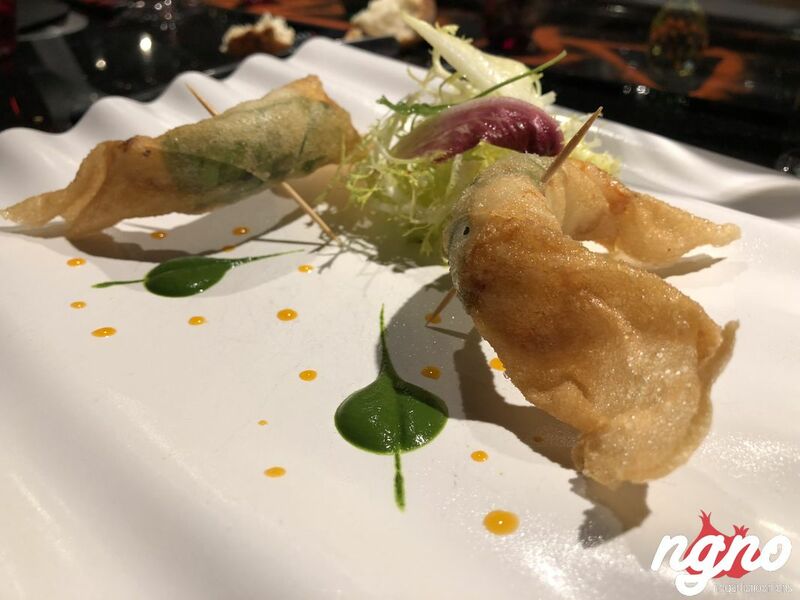 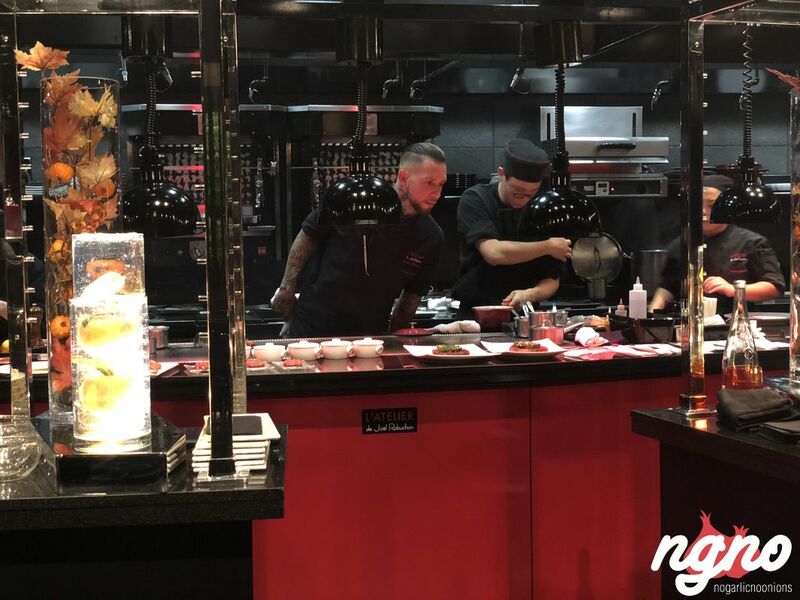 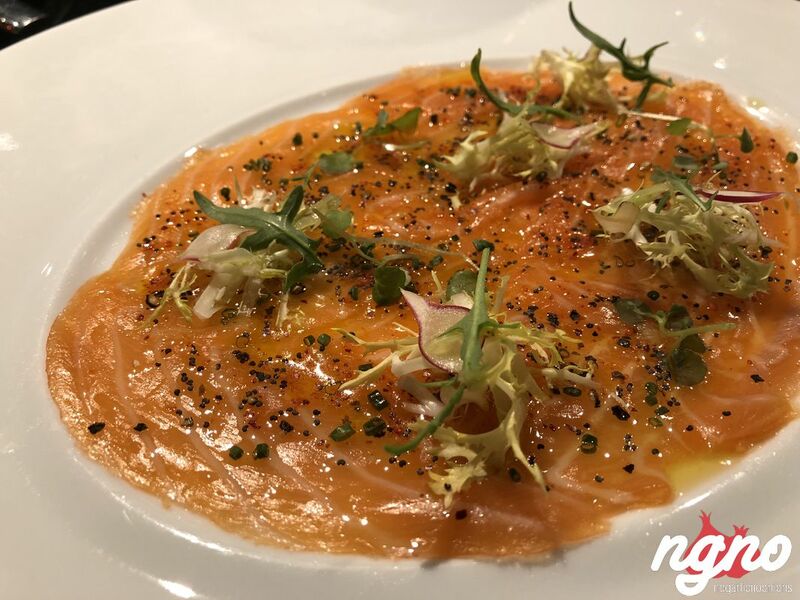 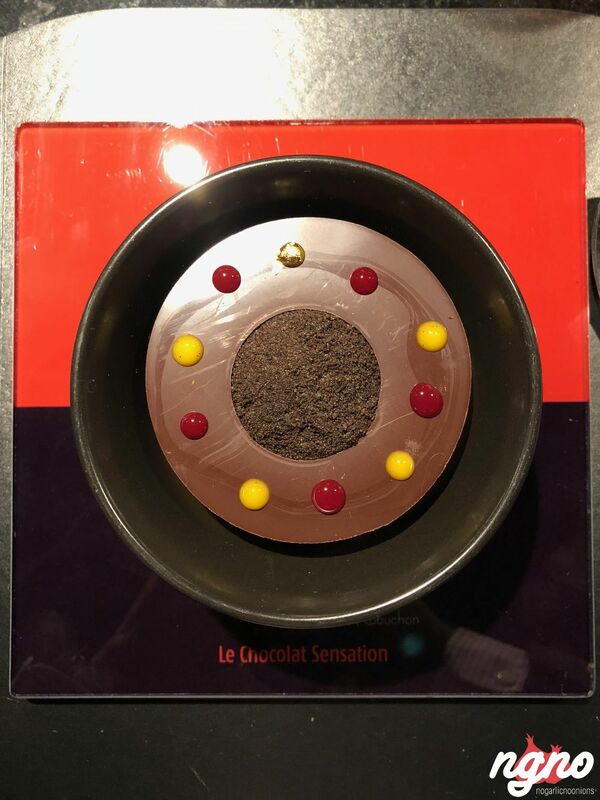 La Table de Joel Robuchon brings the perfection of French cuisine to the United States’ city of gamboling exposing the finest in culinary expertise and finesse. 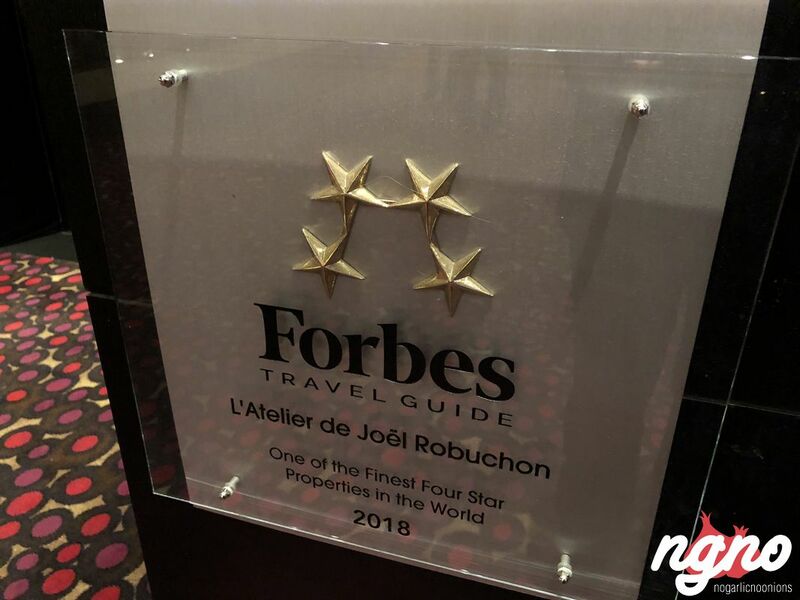 With its Michelin star, its Forbes recognition and AAA diamond award, you can’t miss the experience. 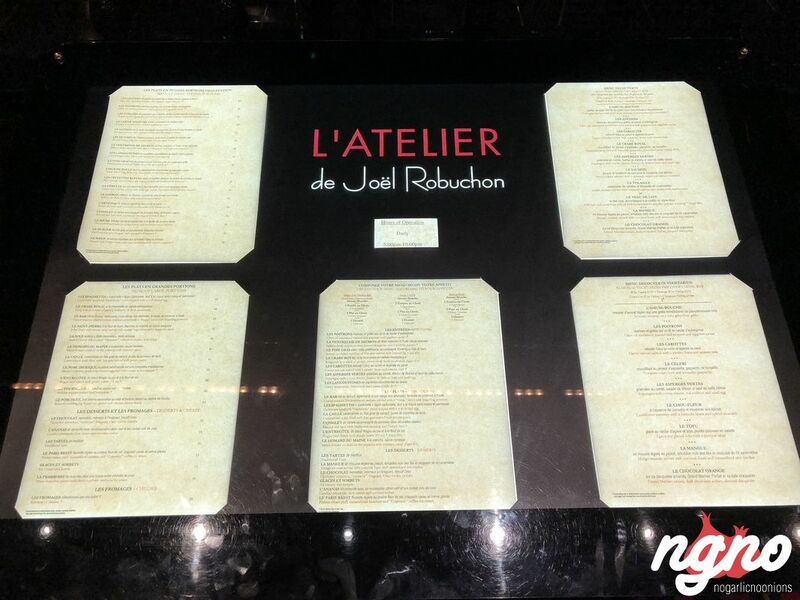 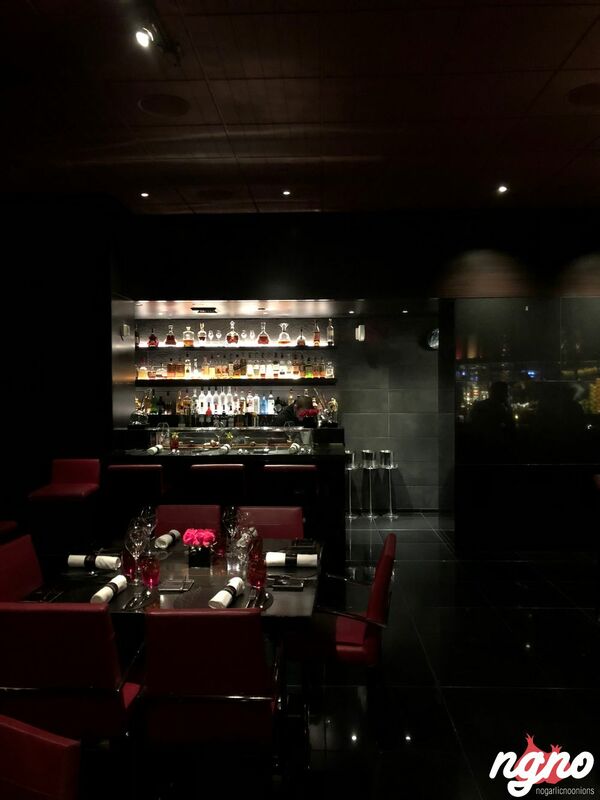 Exactly like the decor in Paris, La Table de Joel Robuchon is all about the experience at the bar. 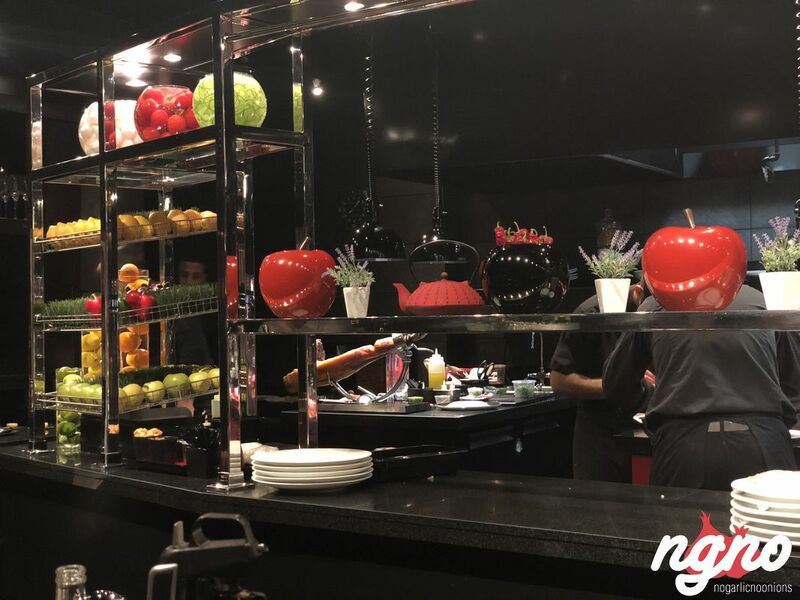 Feel the kitchen while enjoying the sizzling sounds of your food being prepared in front of you. 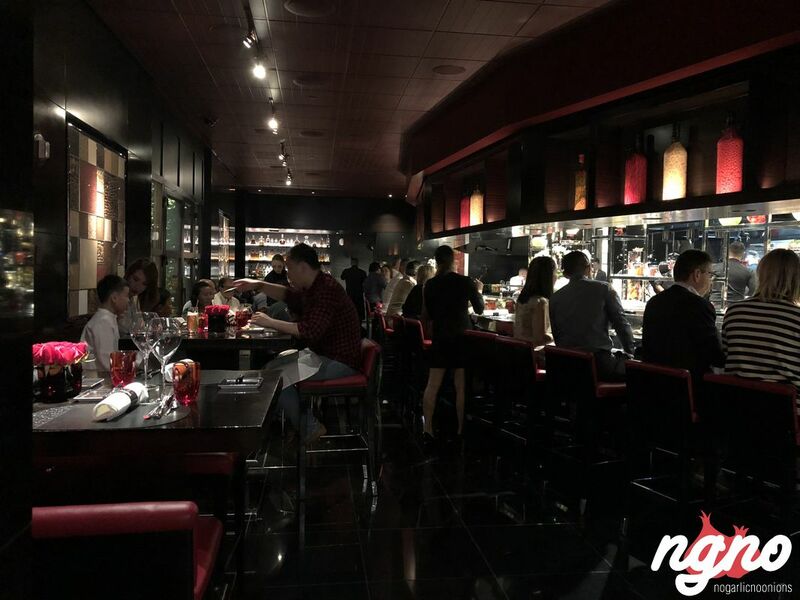 Dark and dimmed with splashes of colors coming from all sides, the restaurant oozes fineness and style all by being simple and classy. 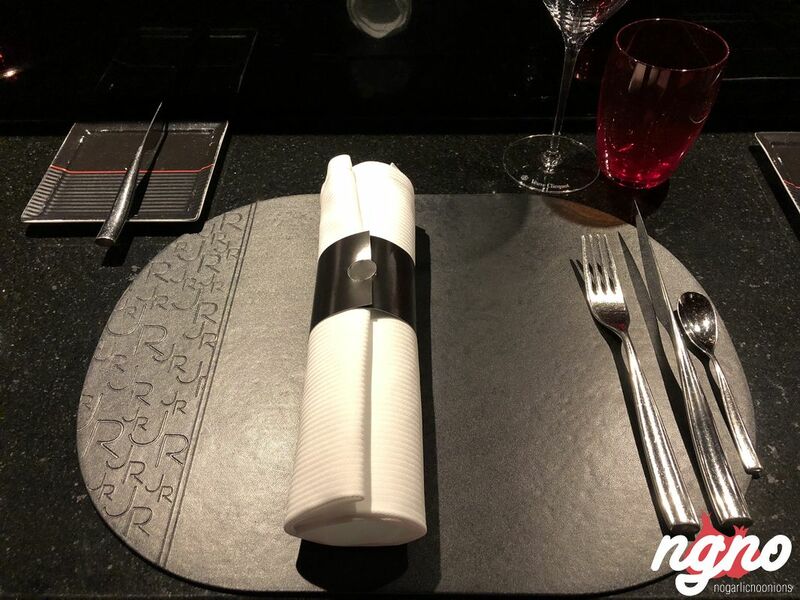 Enough lights brighten your plates for unique pictures. 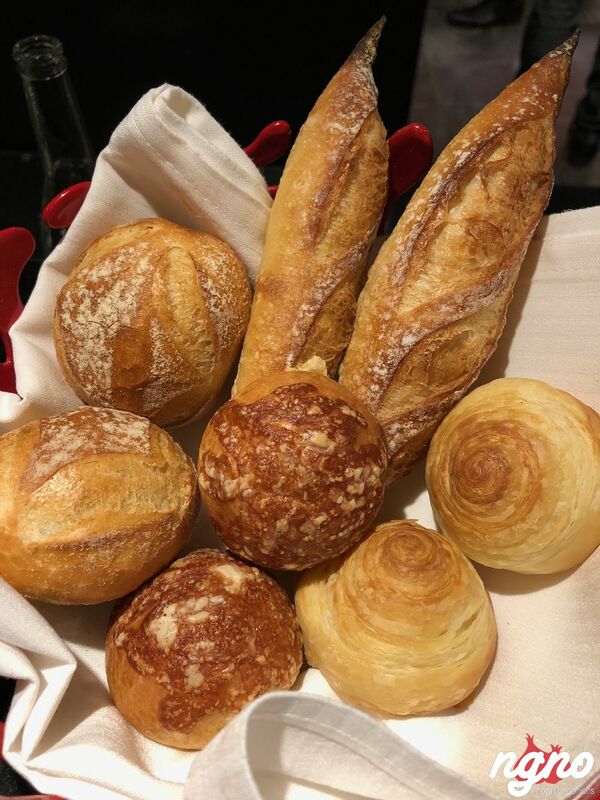 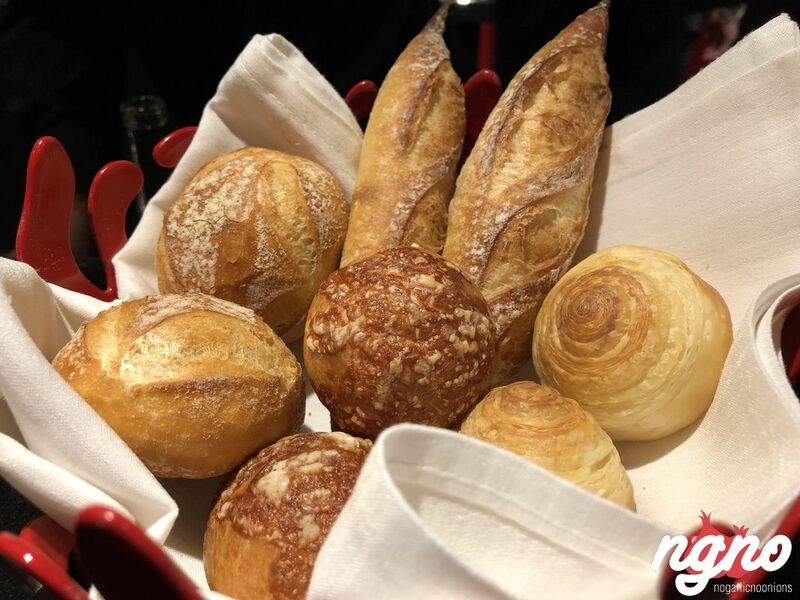 Start with the bread, a basket of freshly baked baguettes and croissants, shining like gold and served with a side of salted butter. 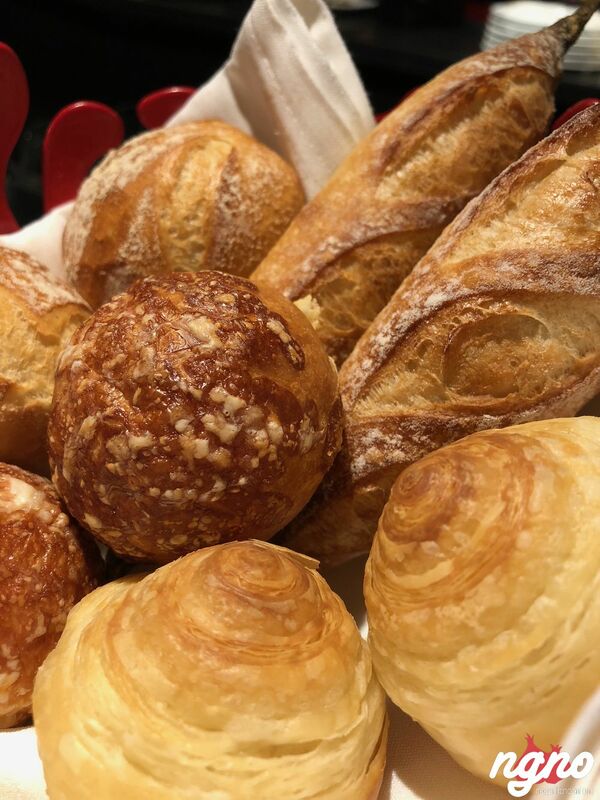 Light-bodied crunchy baguette, flaky croissant, sweet brioches, and an amazing butter. 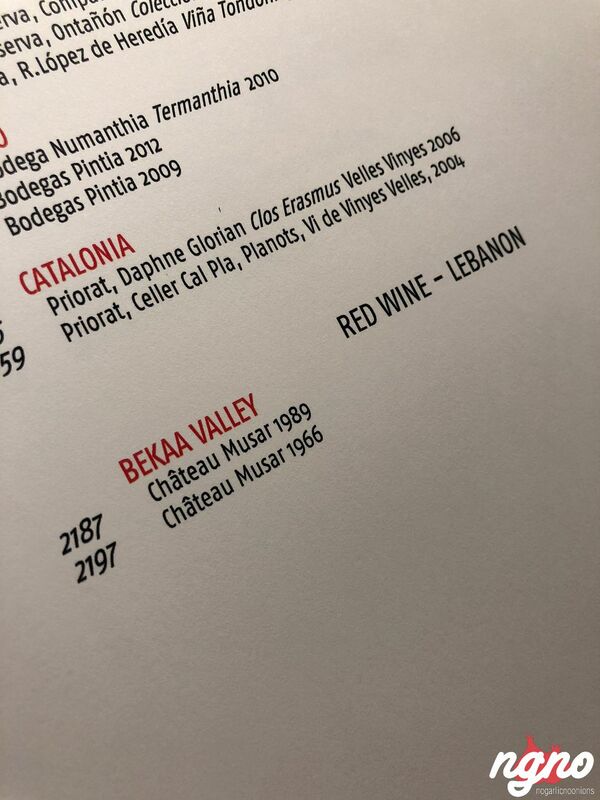 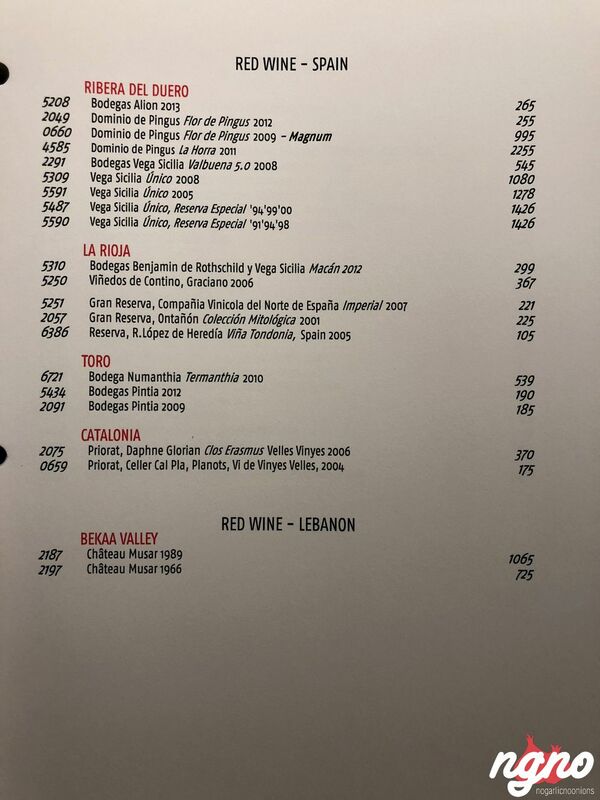 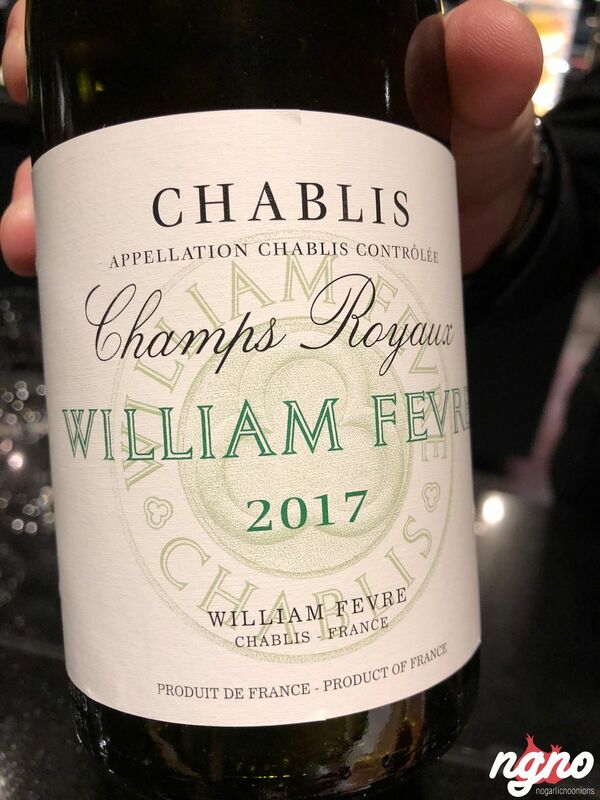 The sommelier approached us for the wine, he opened the bottle in front of us, tasted it, poured it and explained it before inviting us to taste. 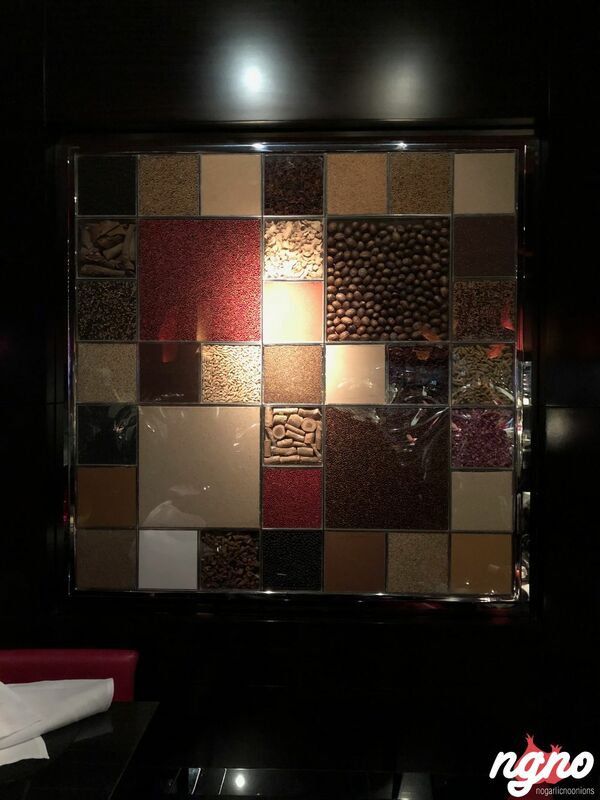 Perfection in every detail is what this institution is all about. 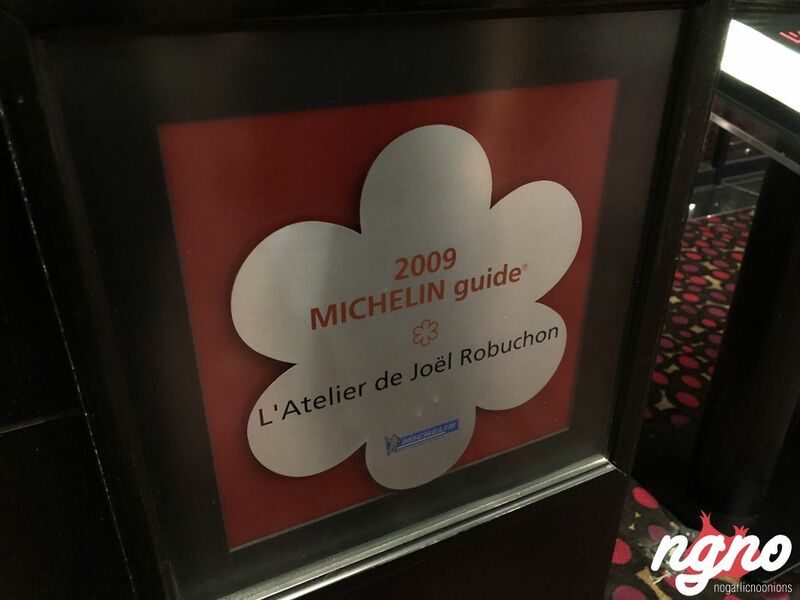 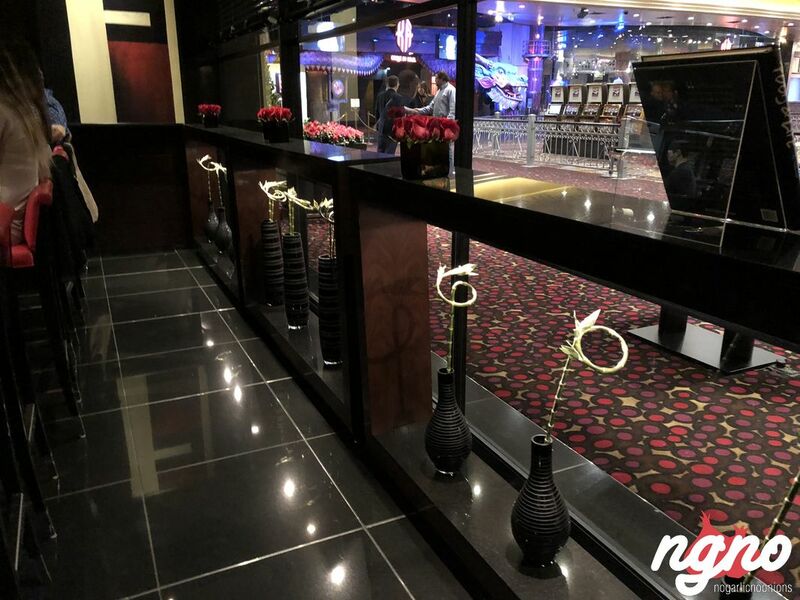 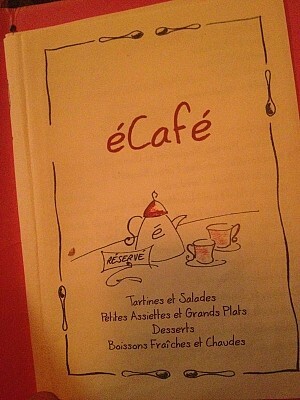 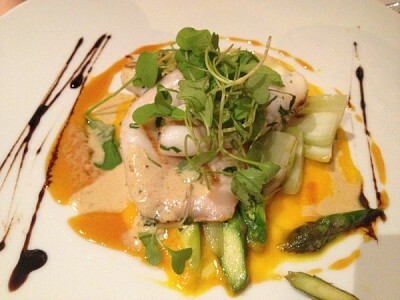 If you wish to have a more elevated experience, the restaurant is awarded three stars. 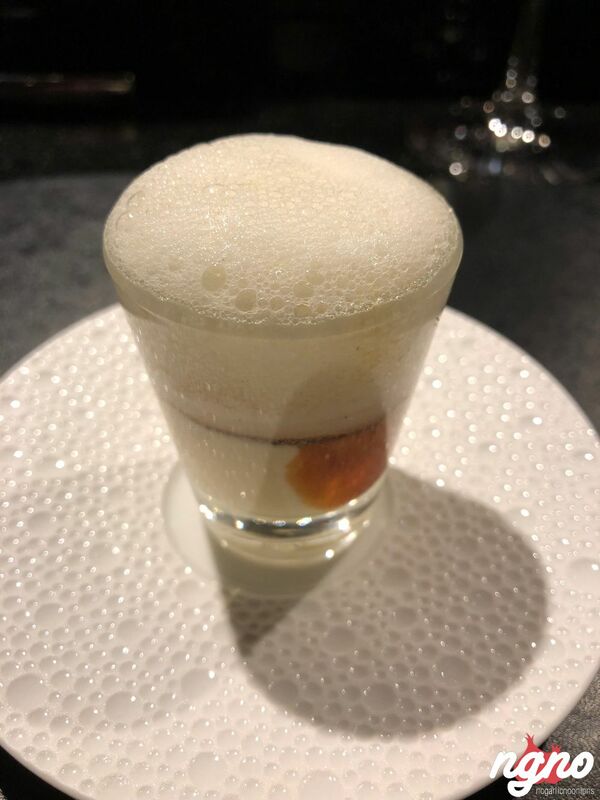 Tonight’s amuse-bouche is a warm Foie Gras served in a glass with its reduction. 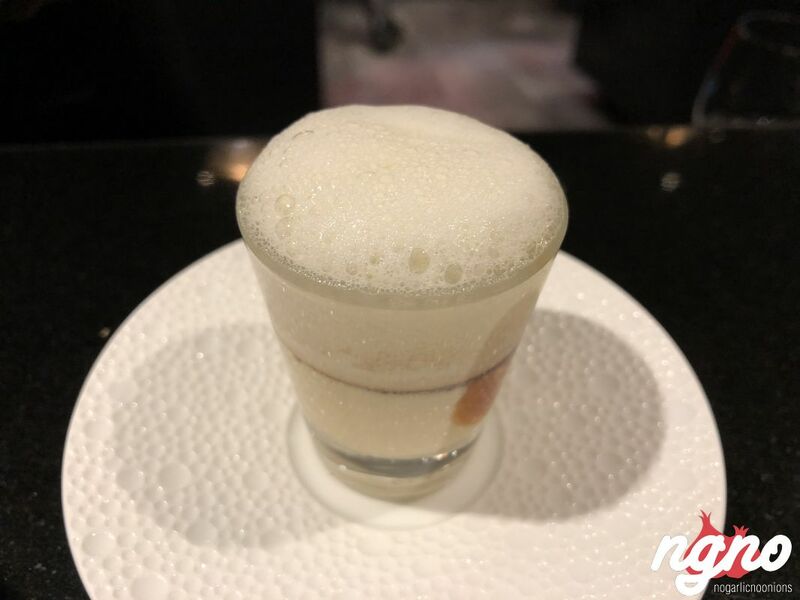 A complicated mix of flavors combined in a small shot prepare you to the greatest things that will be following. 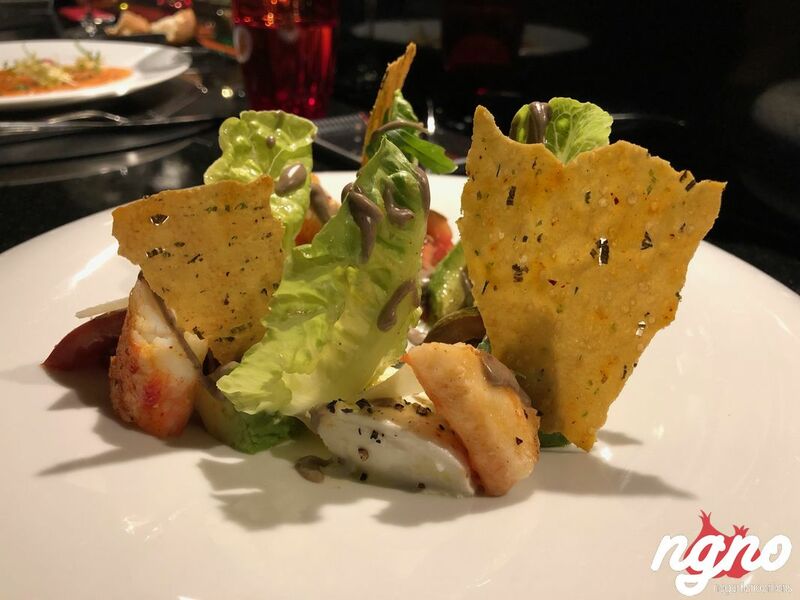 Waw... the langoustine plate is amazing. 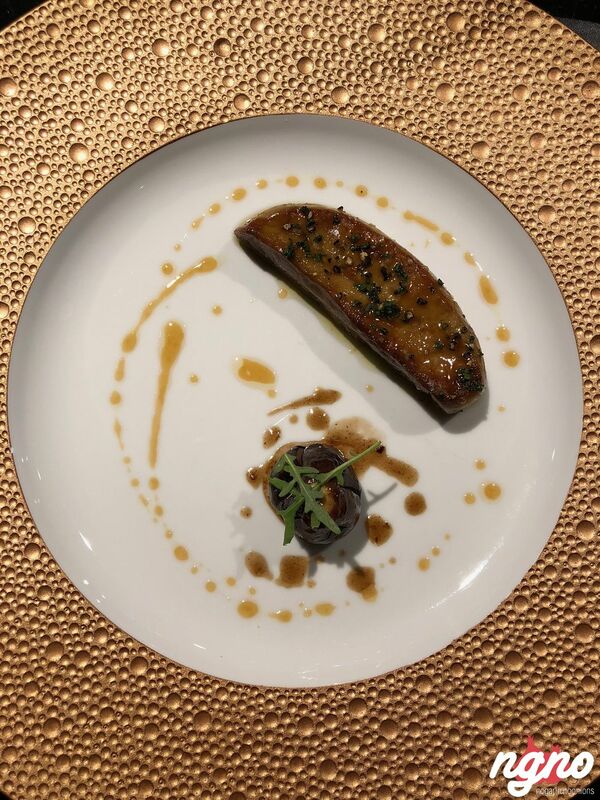 Beautifully decorated like a summer garden, the plate is created to impress. 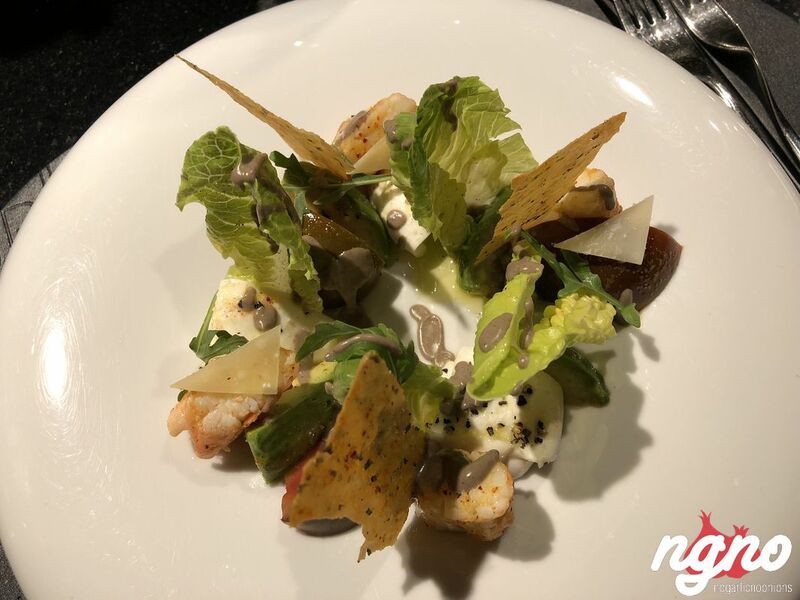 Four pieces of langoustine, three pieces of chips, lettuce, acidic burgundy tomatoes cut in quarters, ripe avocados and thinly sliced sheets of Parmesan. 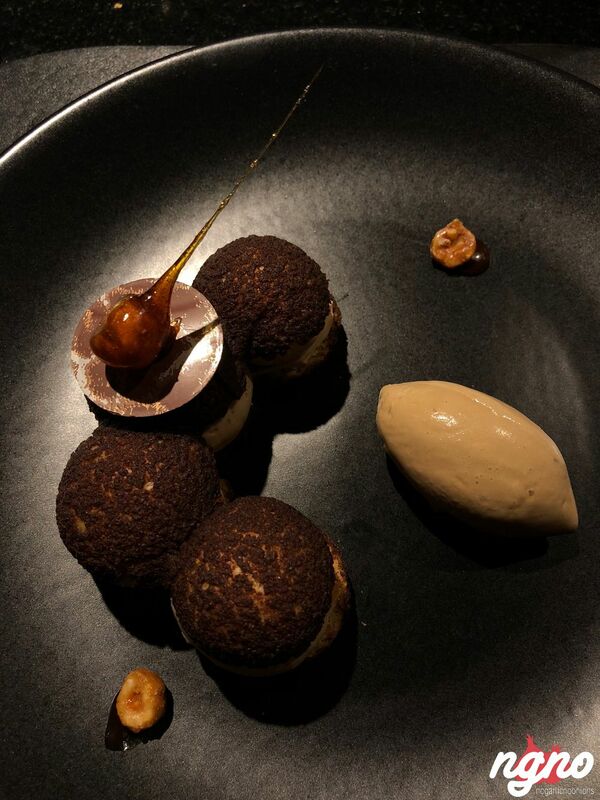 A marriage of textures, flavors, and different temperatures combined... the taste of simplicity. 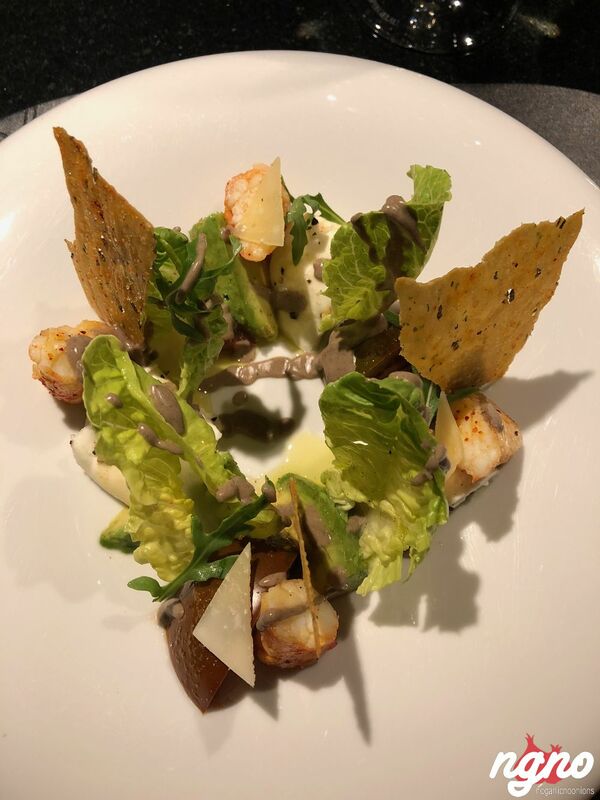 It’s the feeling of salt, the warm langoustines, the acidity of the tomatoes, the tenderness of the seafood and the passion felt in every bite. 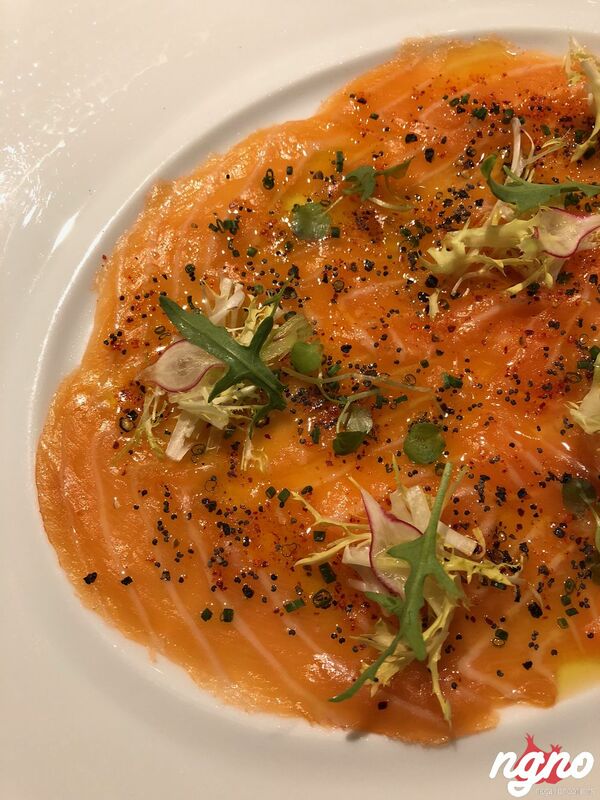 Salmon, as simple as a salmon can be, beautifully served in fine slices and sprinkled with a mix if peppers that make this plate unique. 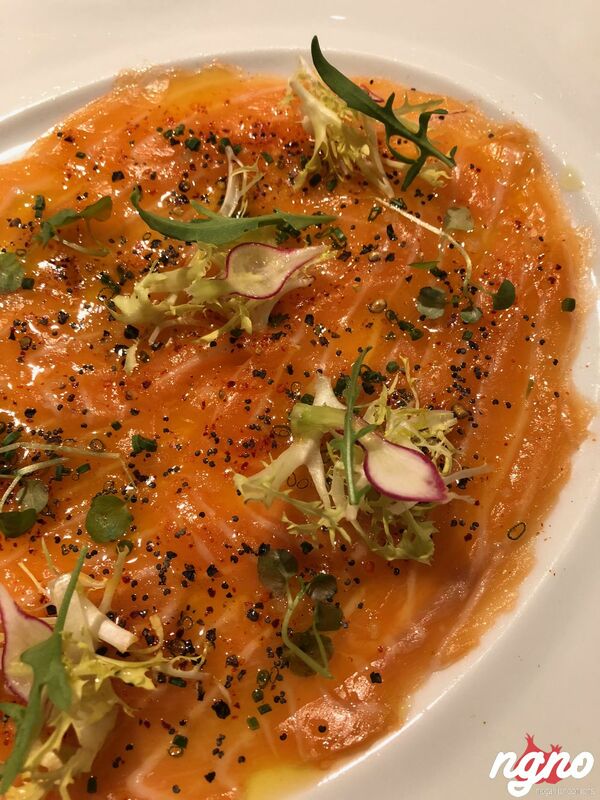 The salmon is drizzled with lemon vinaigrette. 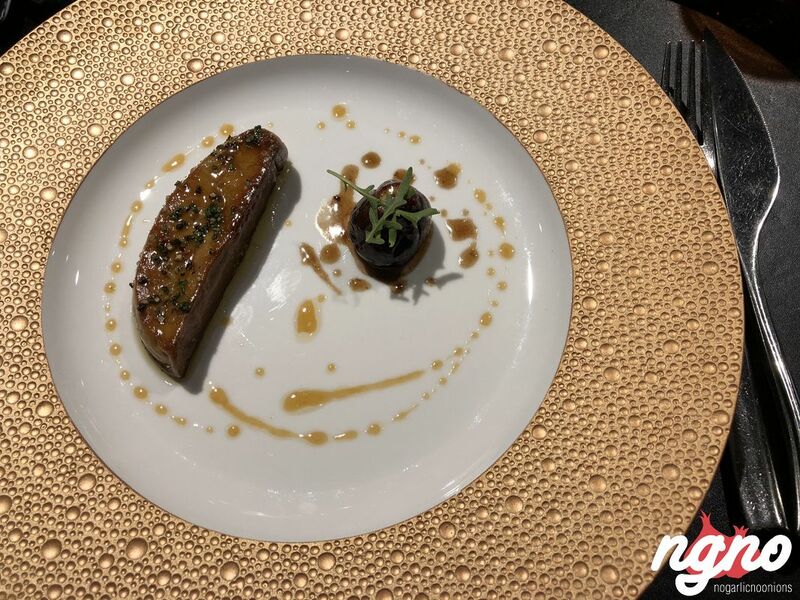 Even though a little bit saltier than it should be, I enjoyed my plate. 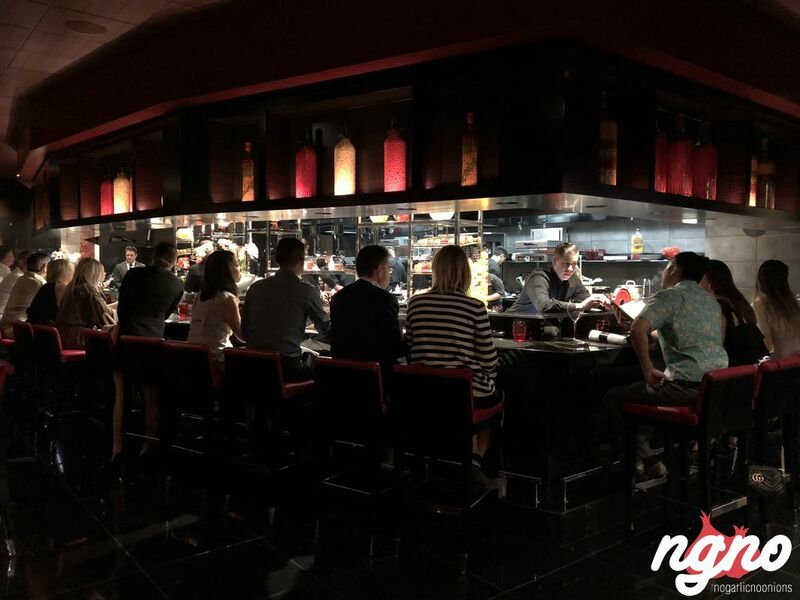 They look like musicians, synchronized and trained to play their piece right. 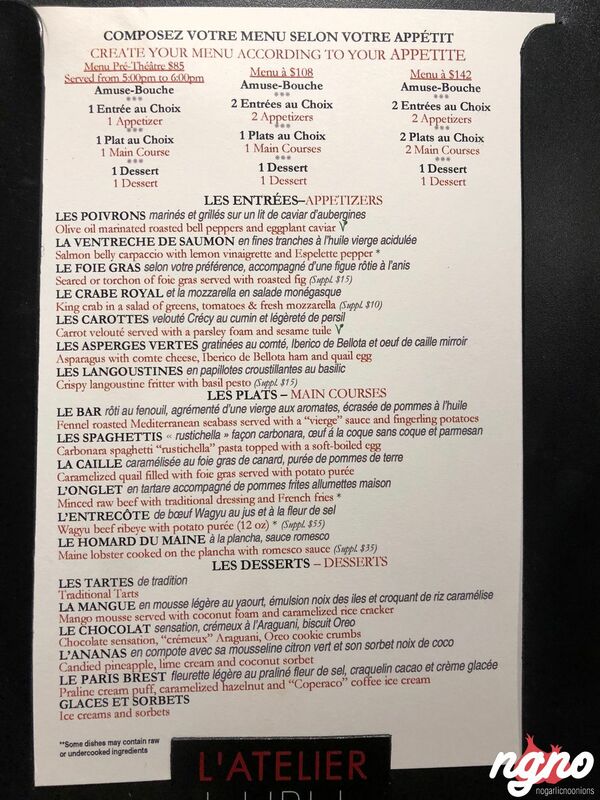 A French chef gives order shouting loudly for the plates while a battalion of eight chefs prepares the order each in his section. 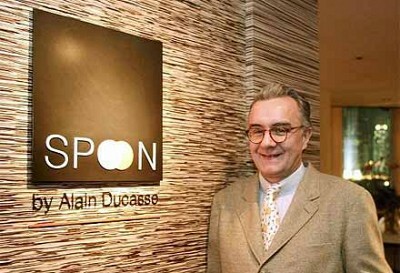 Contemplating them in action is a pleasure. 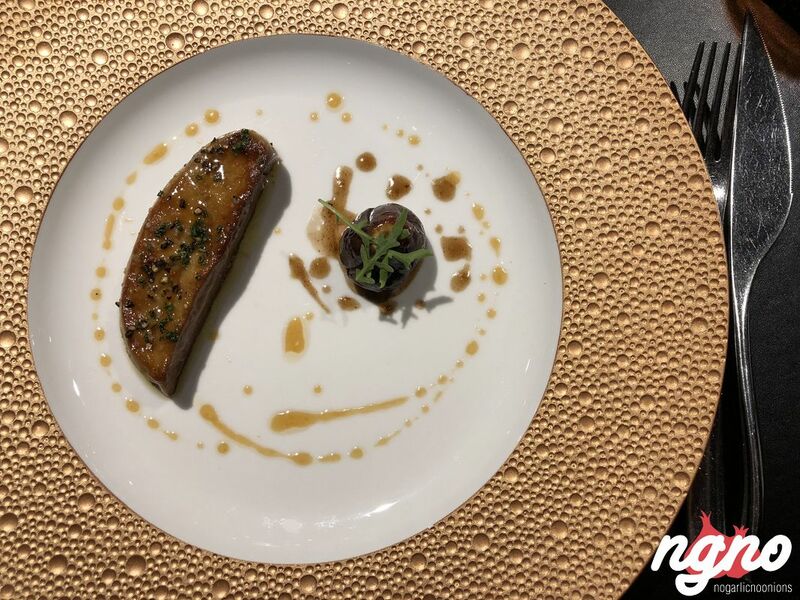 I though I was having dinner, food like any other food, I cut a piece of Foie Gras, laid it on my tongue and felt like my body was melting. 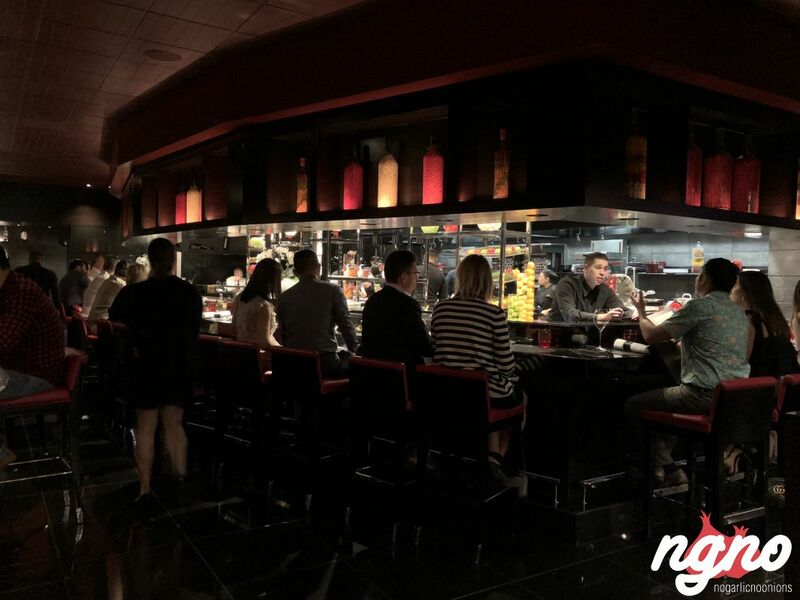 I repeated waw several times until I grabbed my phone to share with you the experience. 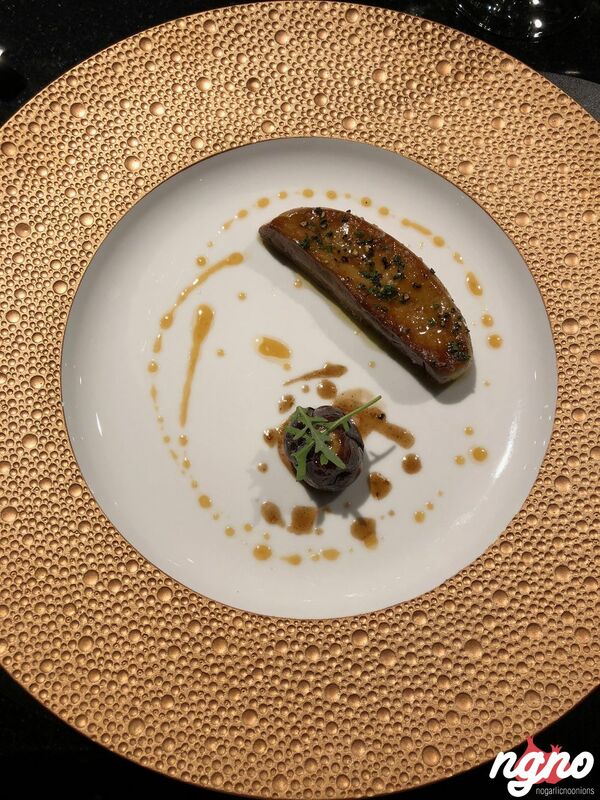 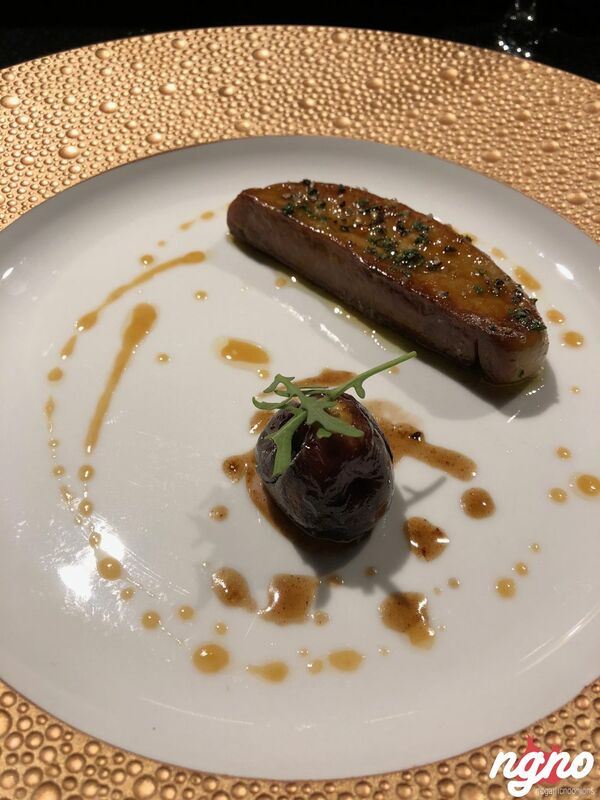 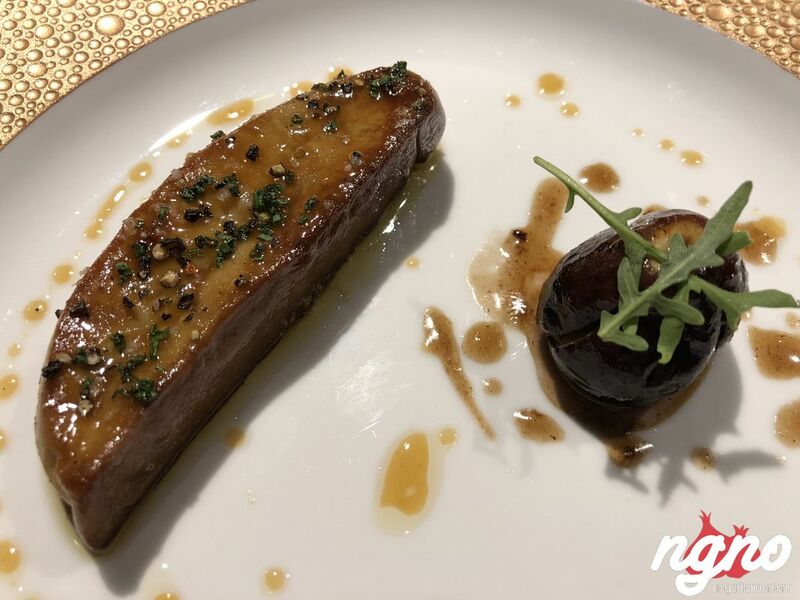 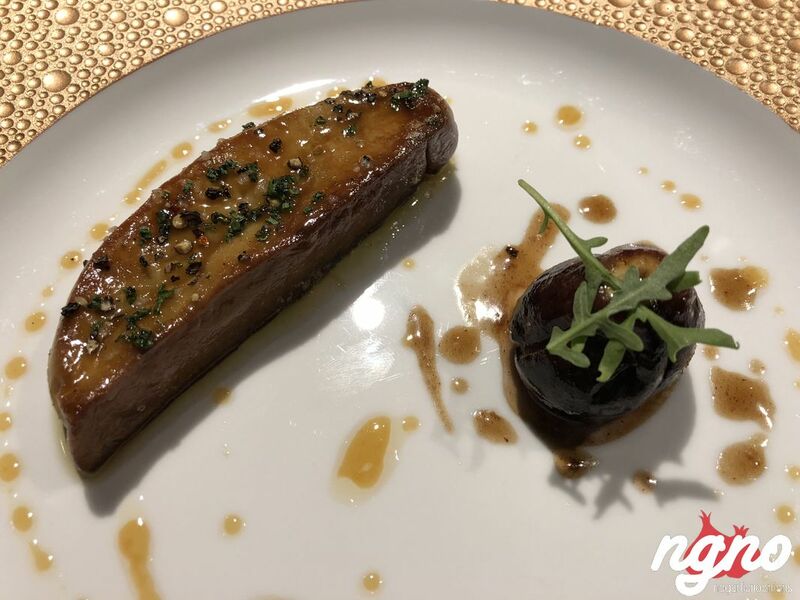 It’s surreal; this Foie Gras is memorable. 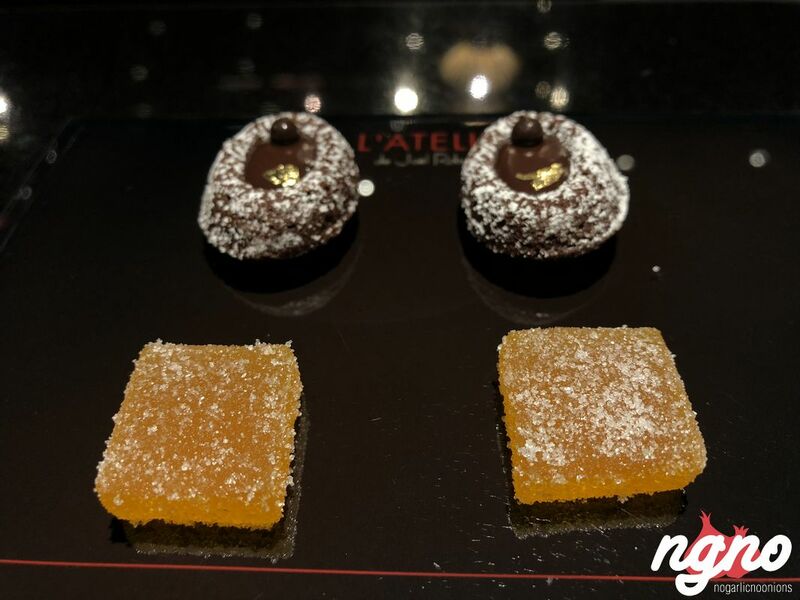 Oily, fatty, buttery and loaded with flavors, every bite excites your palatial buds and ends up tickling your throat. 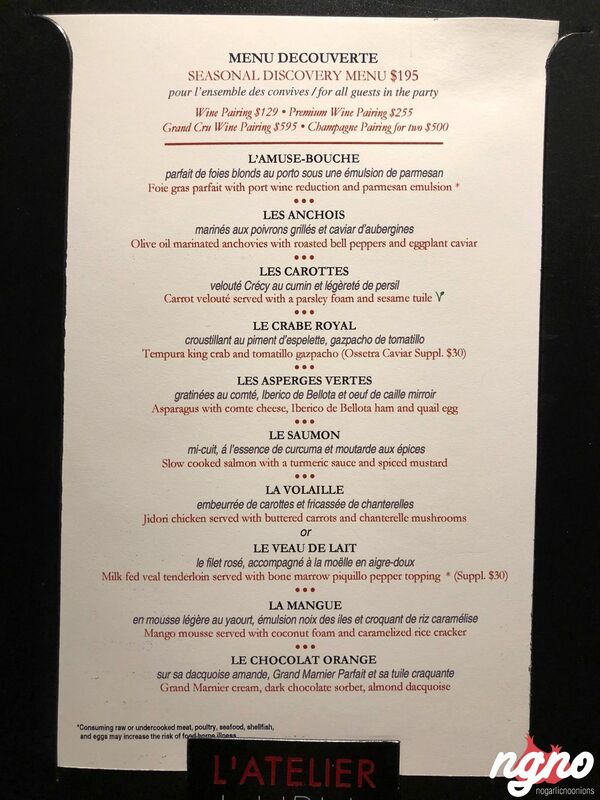 After such a marvelous Foie Gras, I wasn’t impressed by the fried langoustine which I found salty and not as classy as the foie gras. 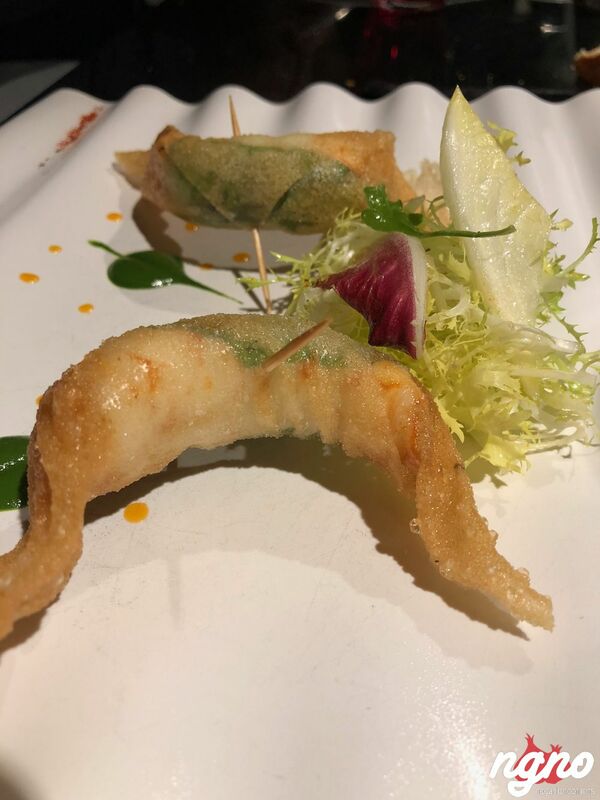 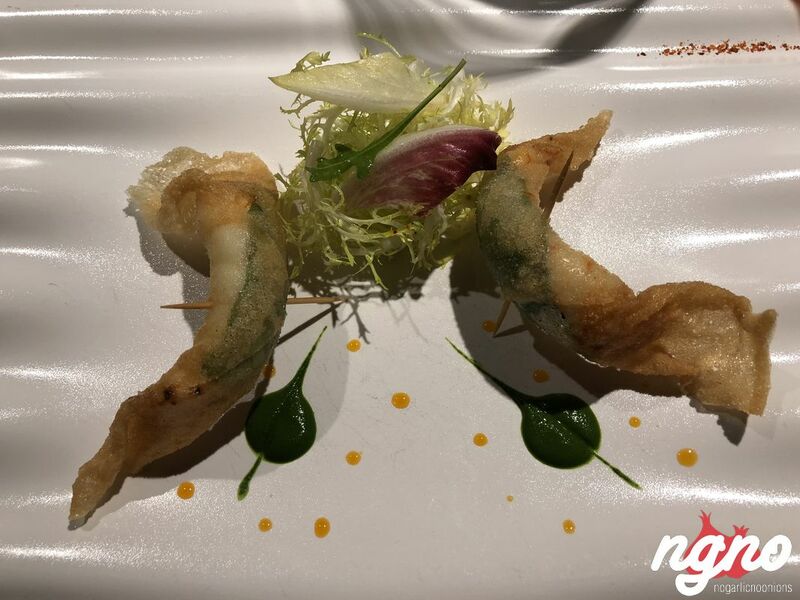 Prepared in a special way, the Langoustine is wrapped in a crunchy envelop, deep fried to crunch. 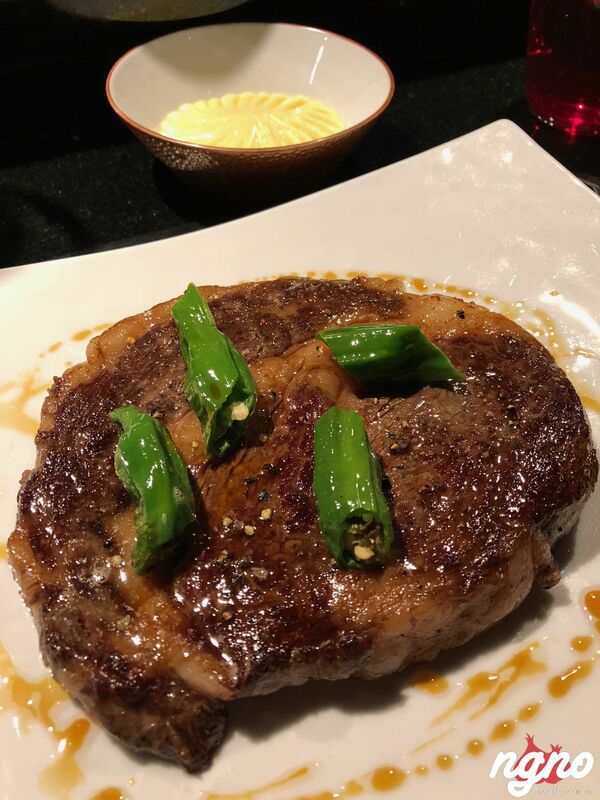 The main dishes: A piece of meat, the small portion, is bigger than my hand. 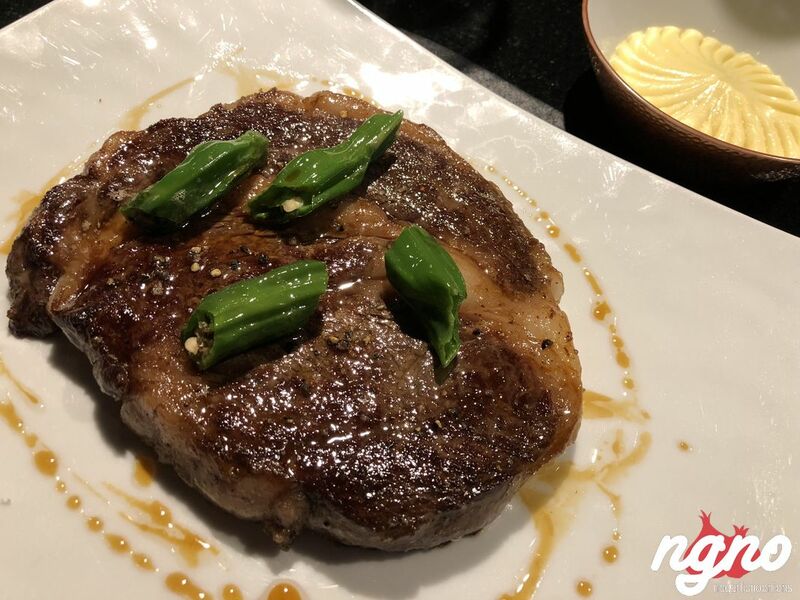 Tender and soft like butter, loaded with taste and rich flavors, that meat might be coming from space. 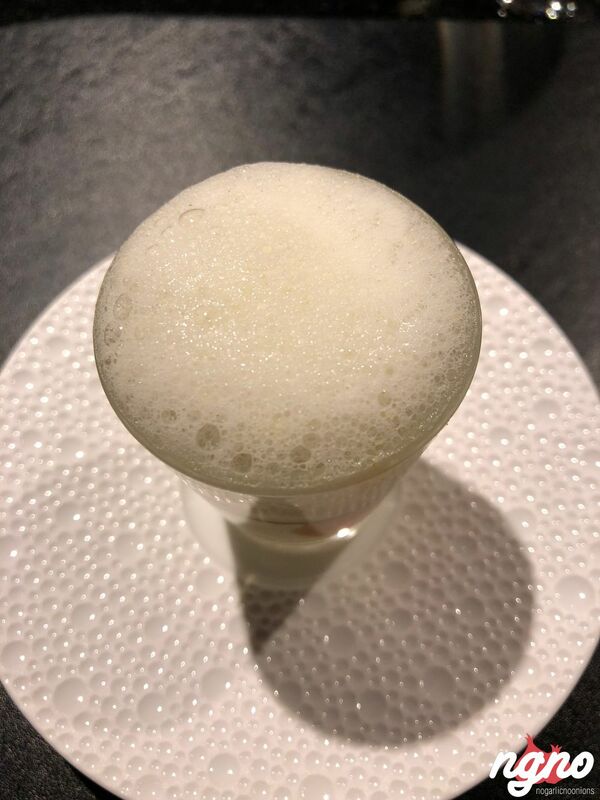 I never imagined being amazed by a potato purée! 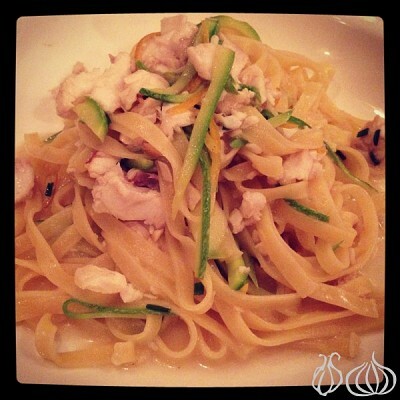 And then came the carbonara; I’m a huge fan, the carbonara is something I crave continuously and travel for. 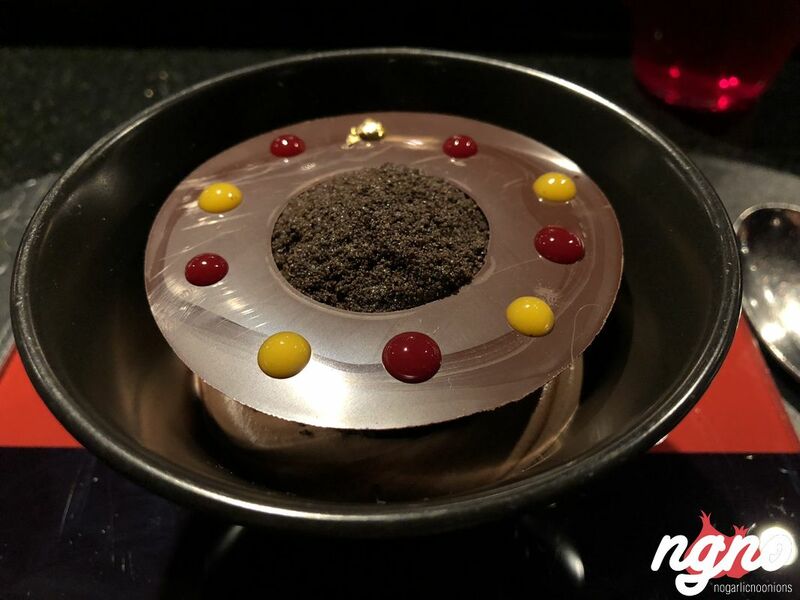 I’ve had carbonara spaghetti all around the world but never a fine-dining version of it. 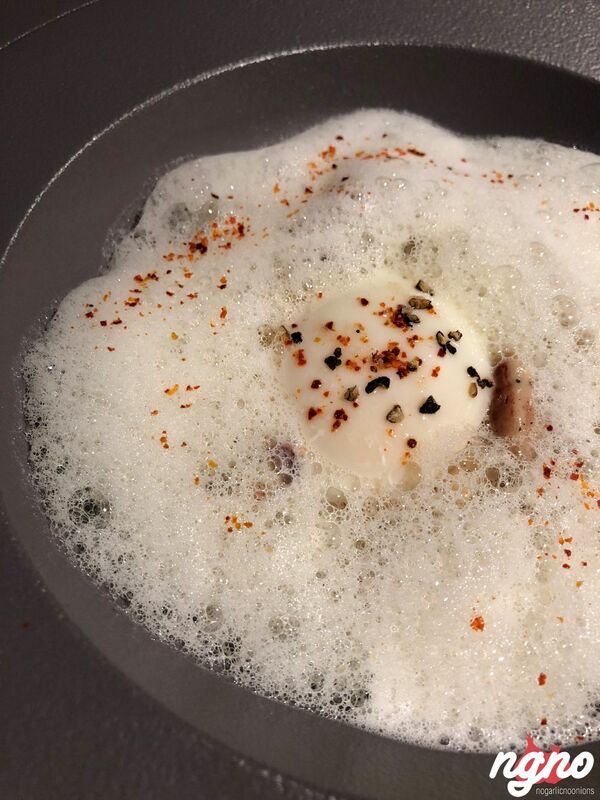 So rich, so intense, so peppery, cooked al-dente and mixed in an egg that’s almost raw. 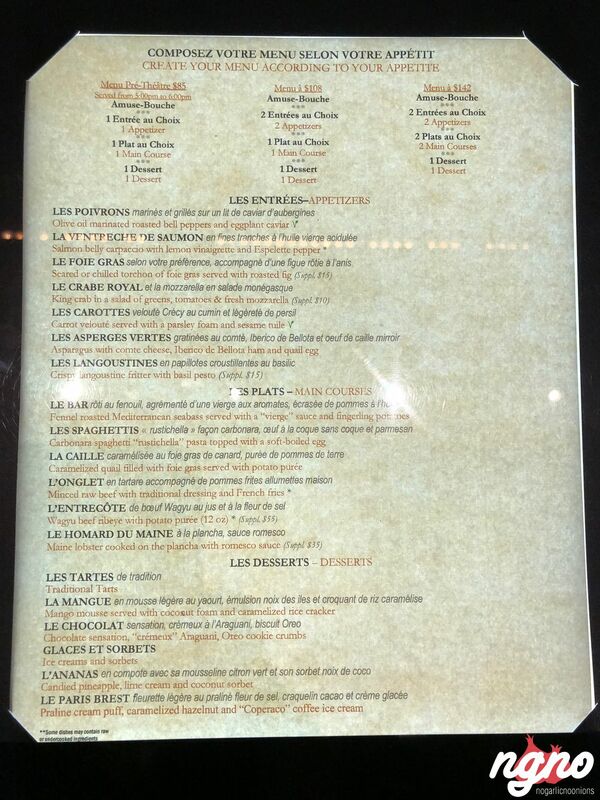 Oh My God, this is phenomenal. 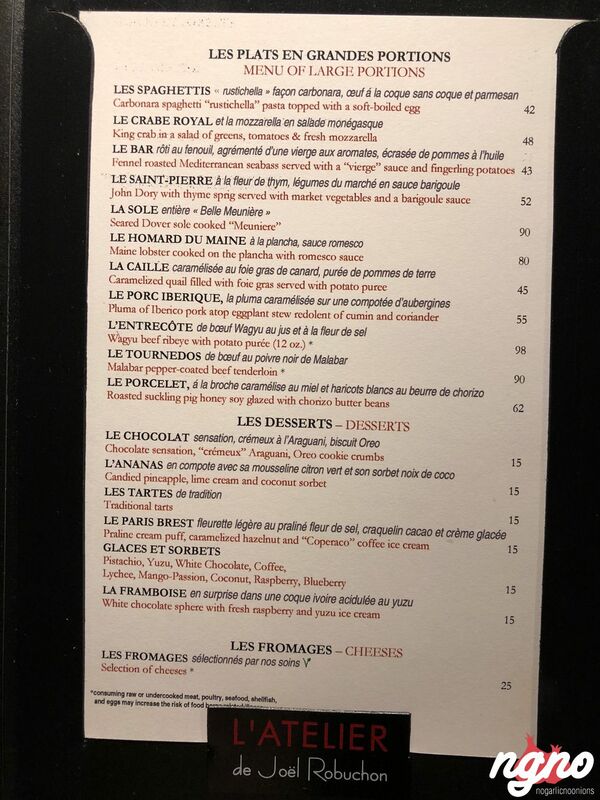 Best for last, the desserts! 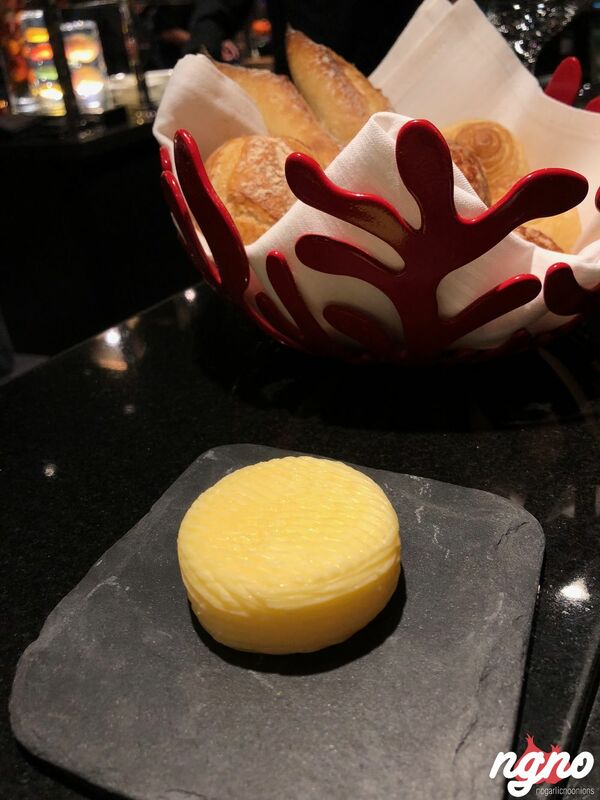 A Paris breast with hints of salt, a crunchy pate a choux and a creamy heart with a side of vanilla ice cream. 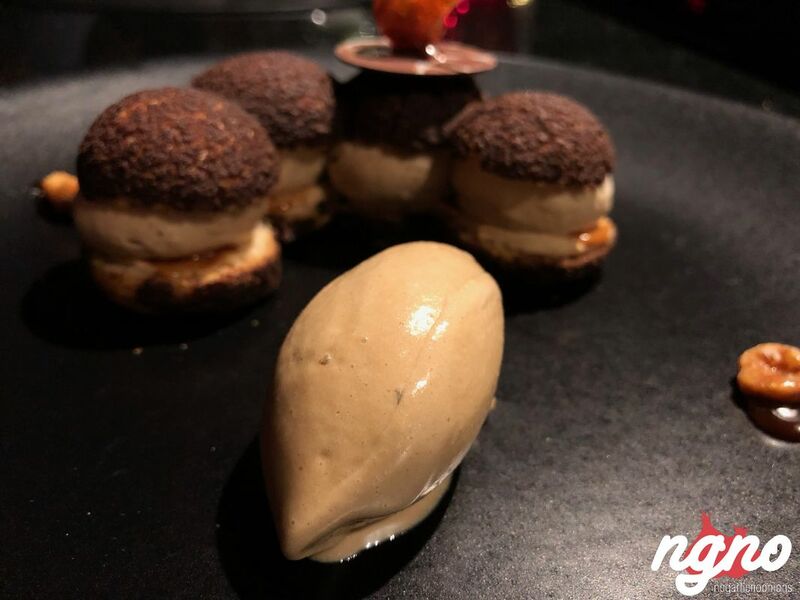 A chocolate sensation, a fine crunchy layer, a heart of pure ice cream, fine crumbles of chocolate... it’s orgasmic! 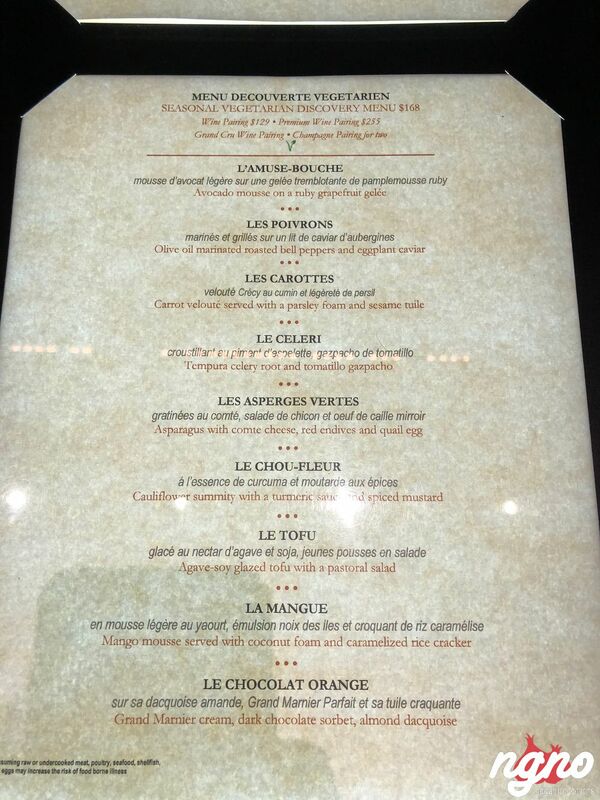 A memorable dinner I’ll remember for long. 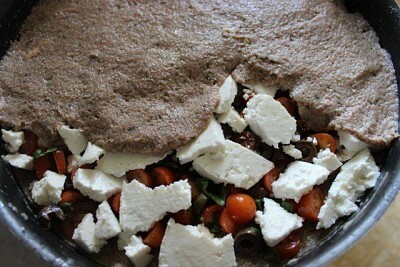 Kebbe Bel Sayniyye with White Cheese Stuffing: "Lebanese Italian Kebbe"